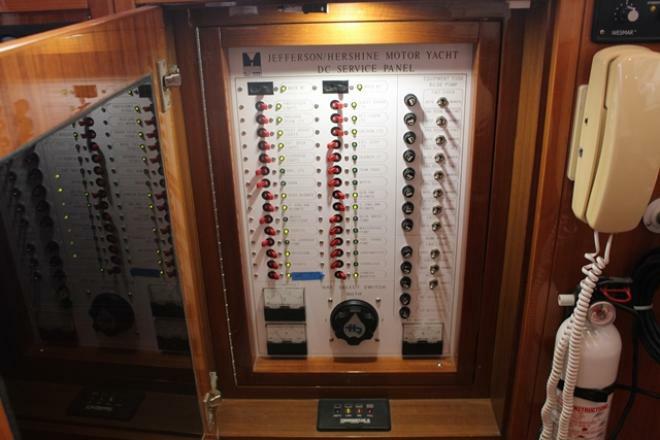 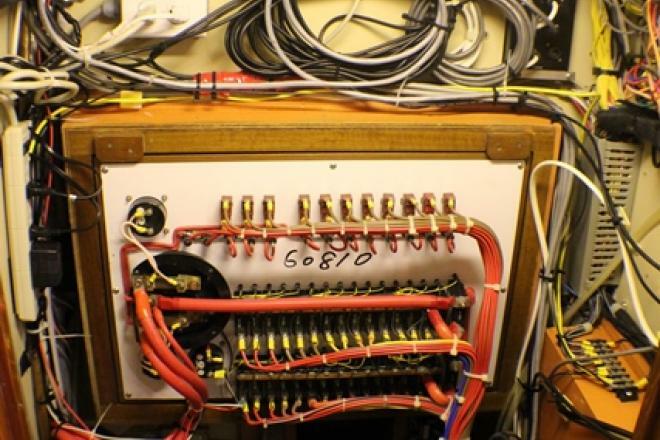 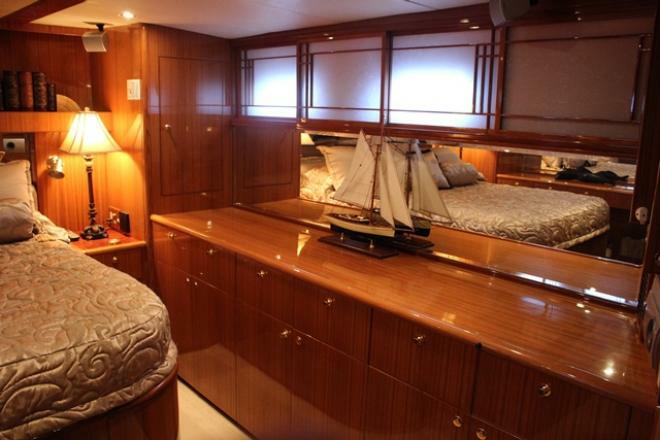 This stately, classic styled motor yacht "Pampered" is appropriately named by her present owner who has lovingly spared no expense pampering her. 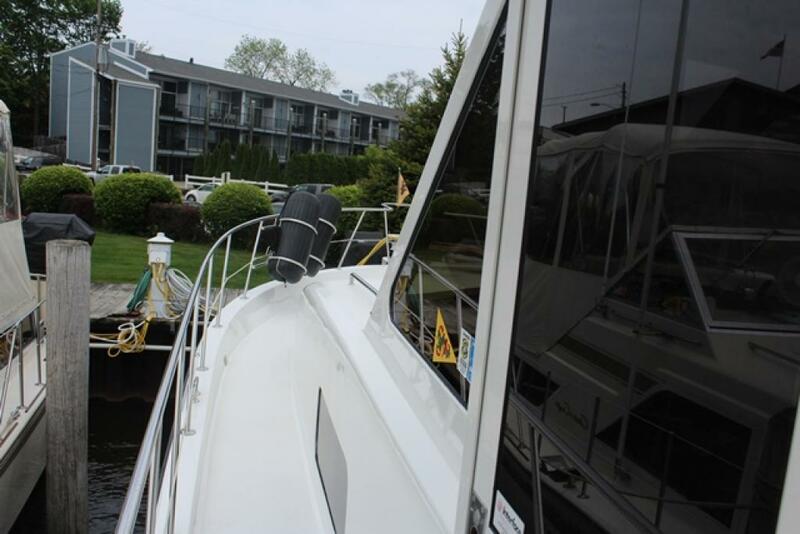 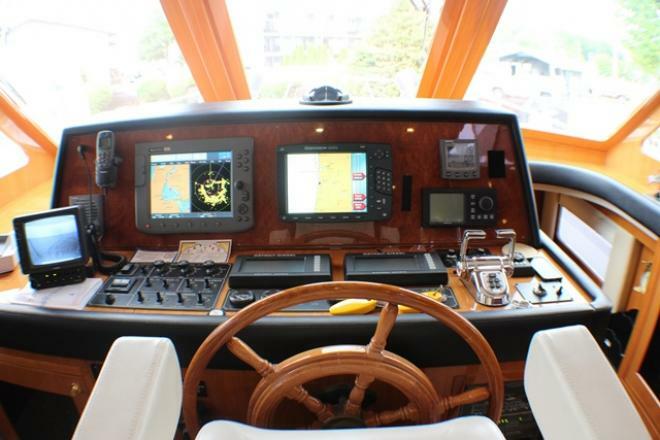 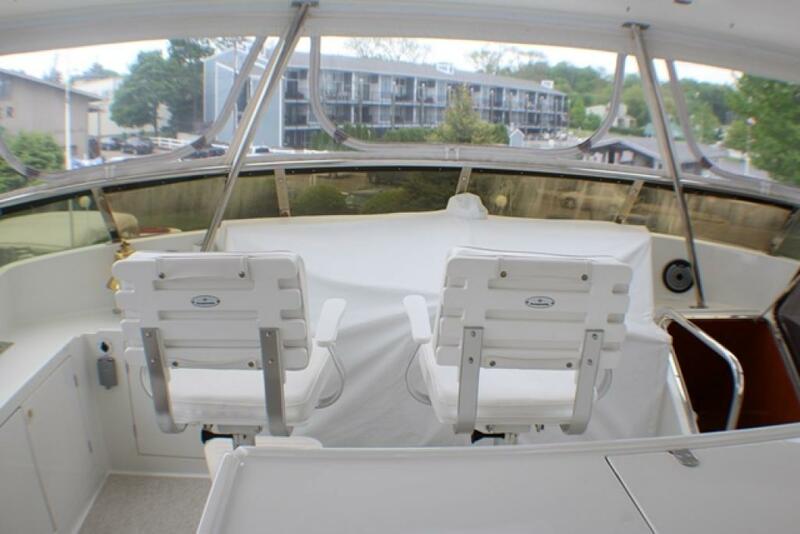 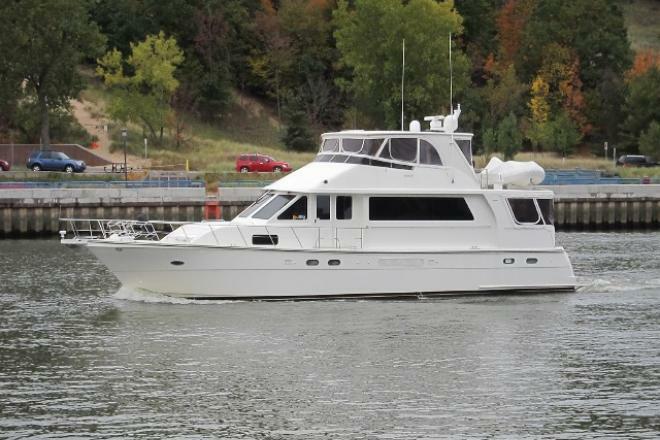 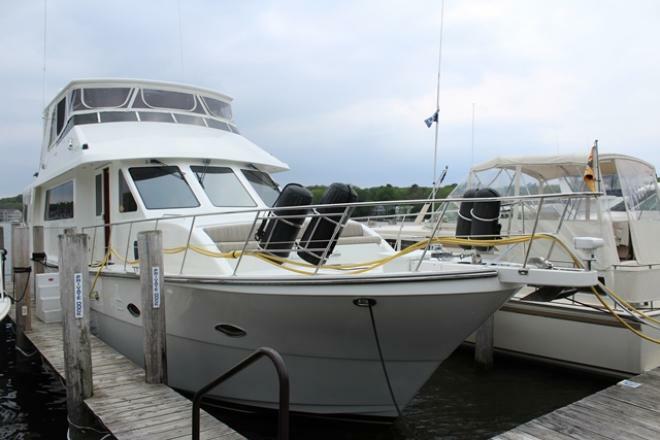 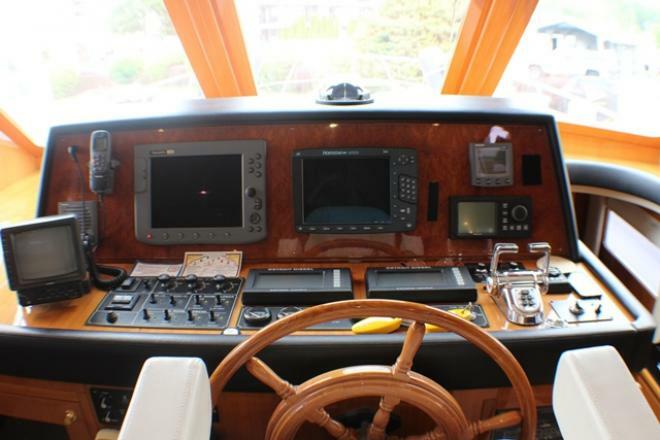 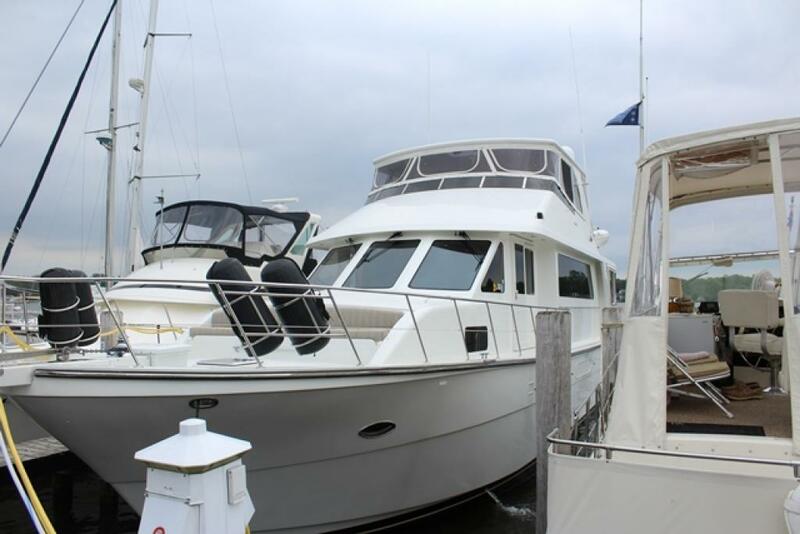 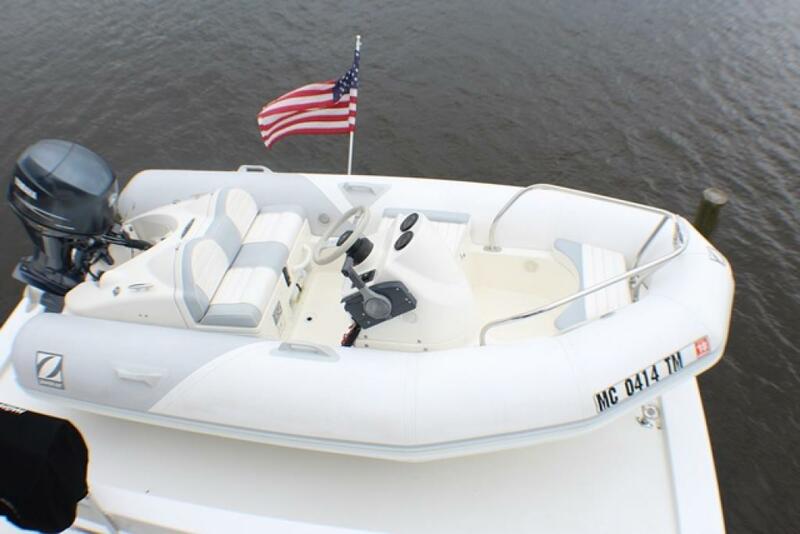 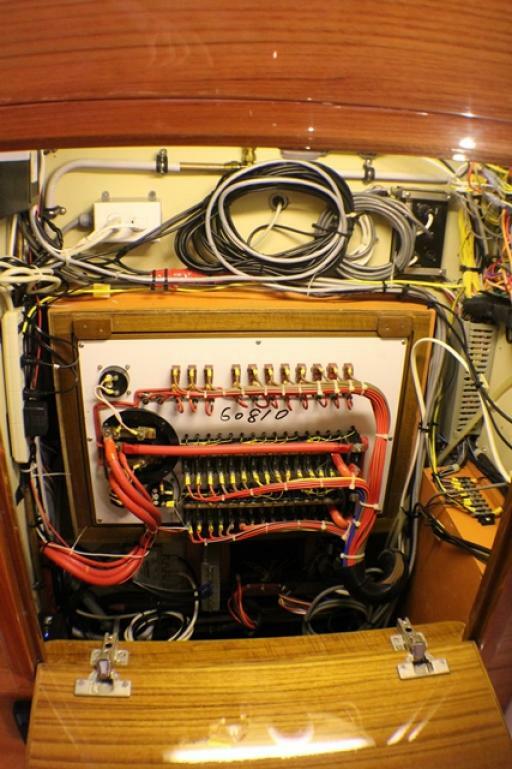 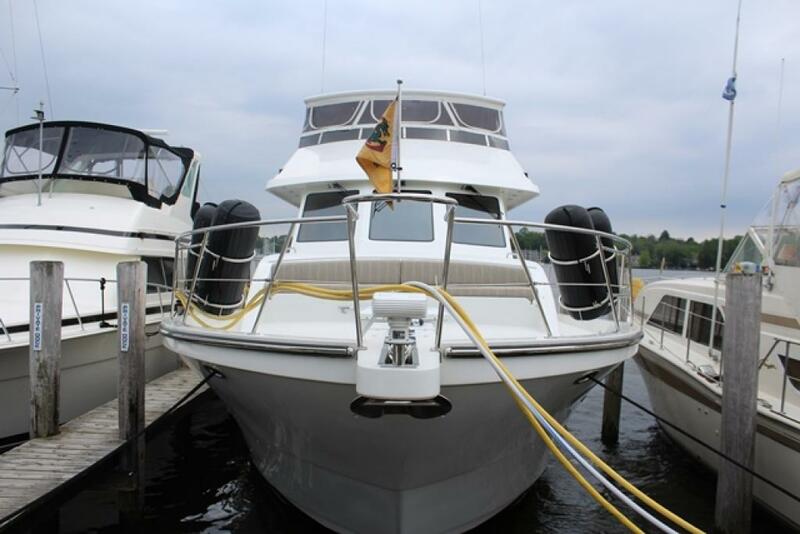 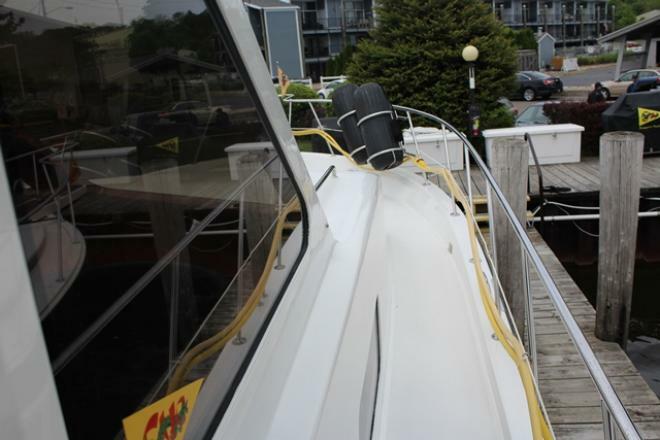 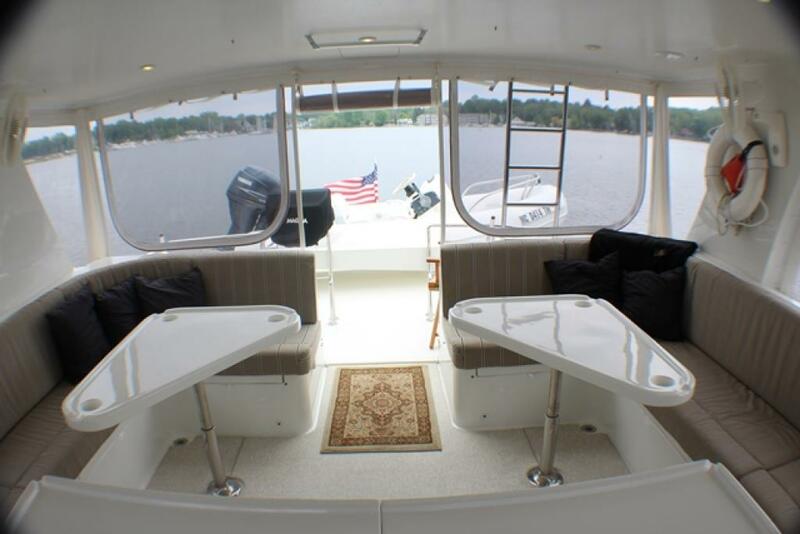 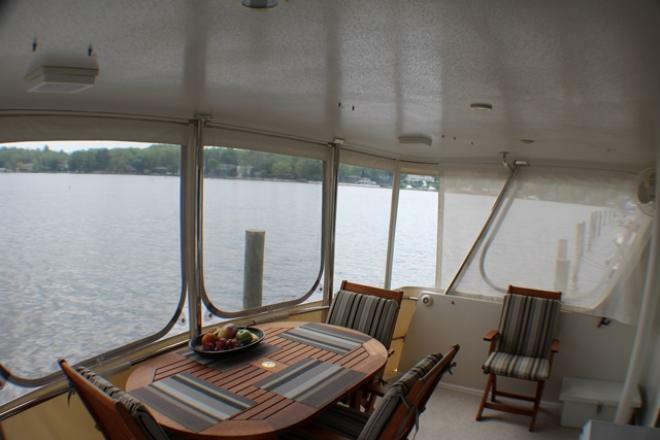 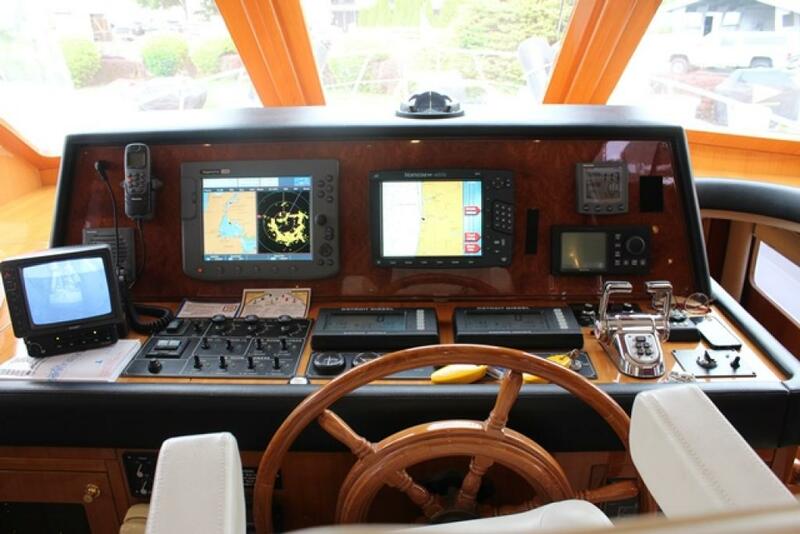 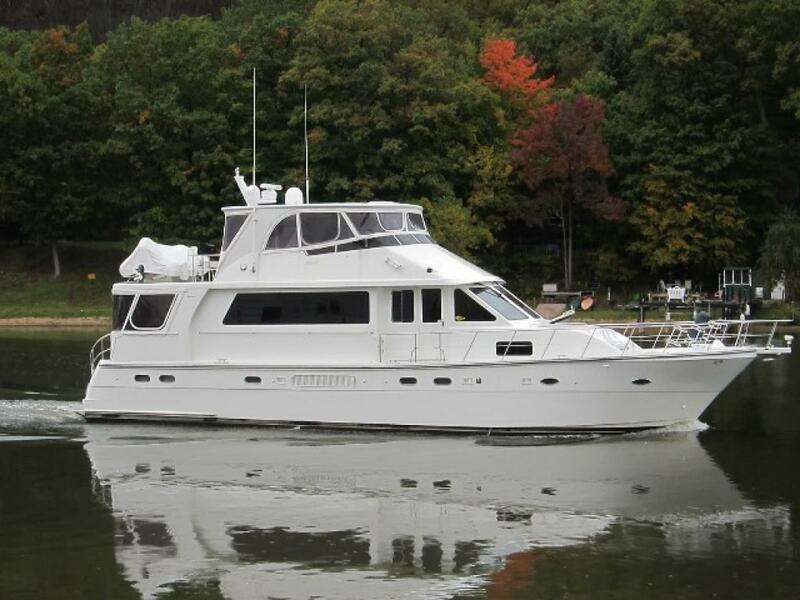 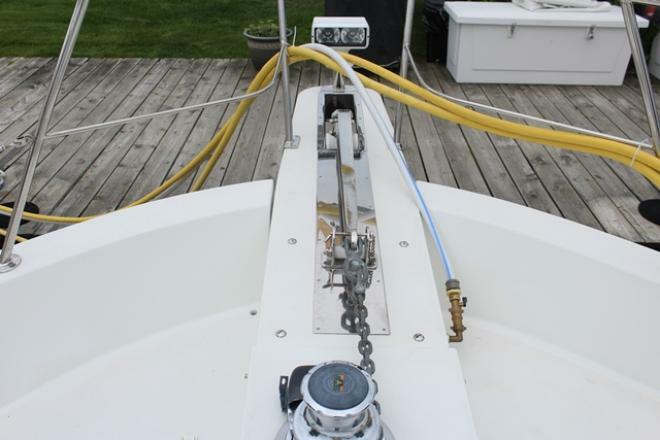 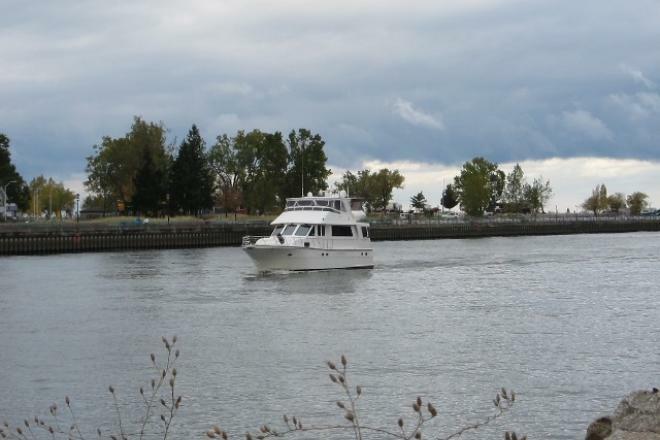 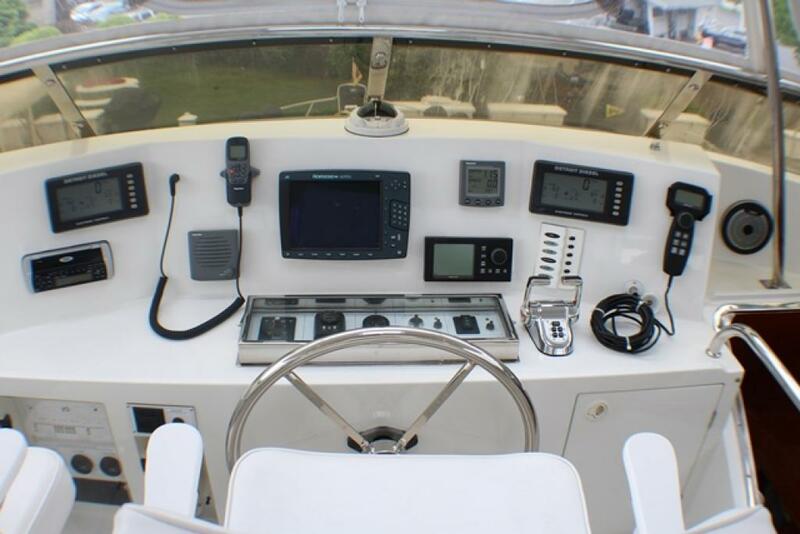 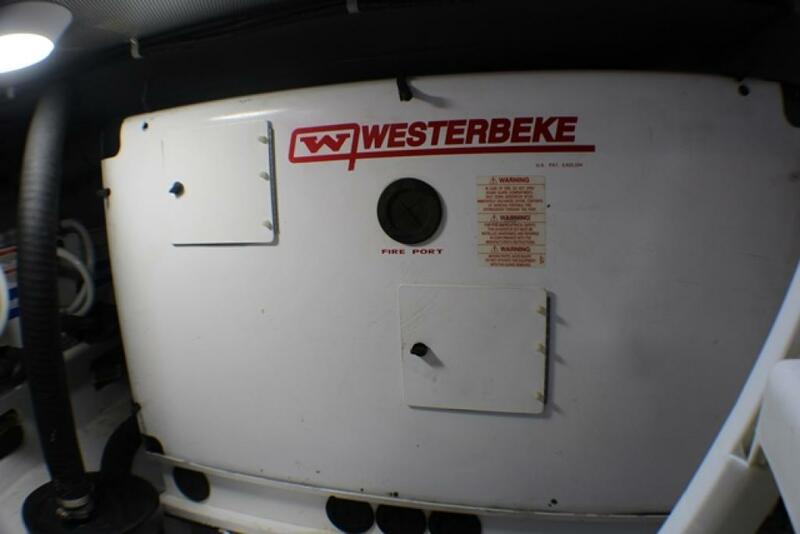 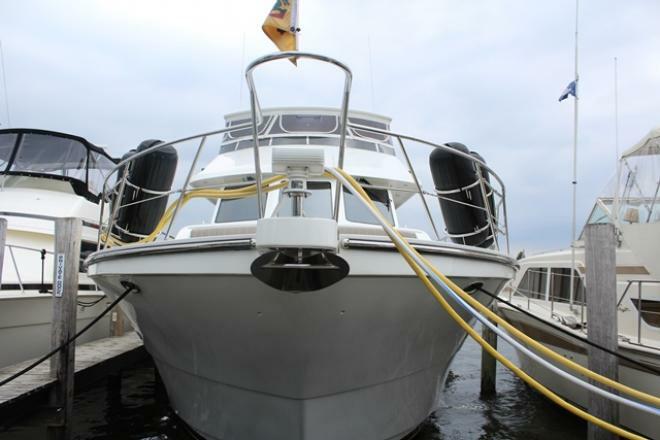 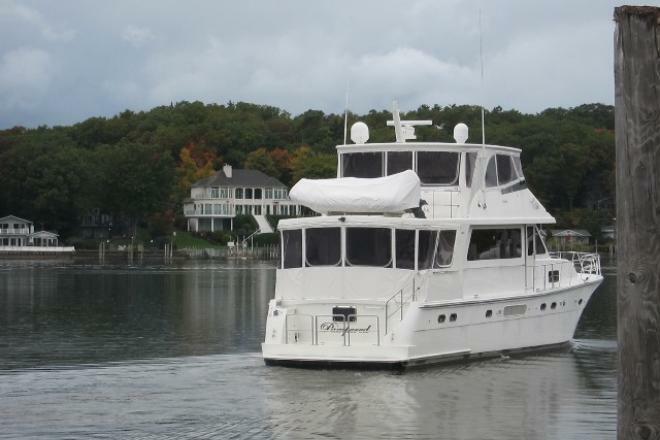 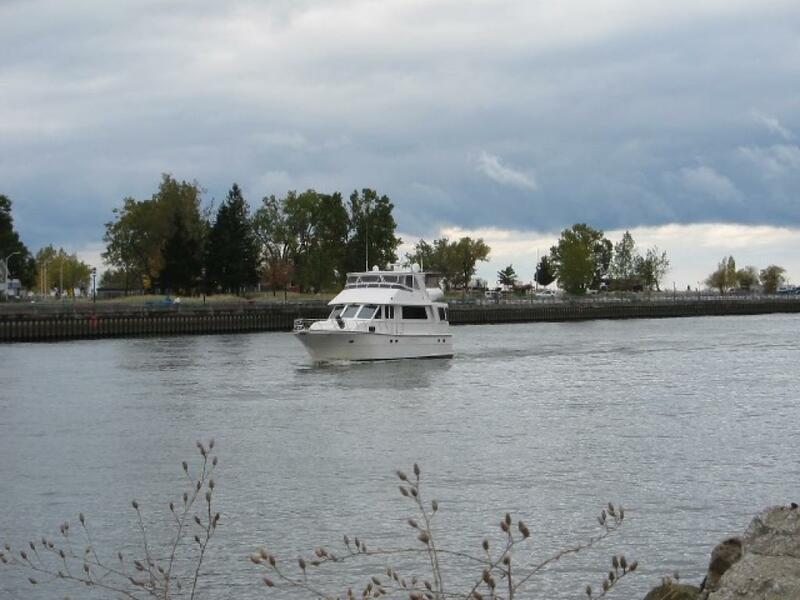 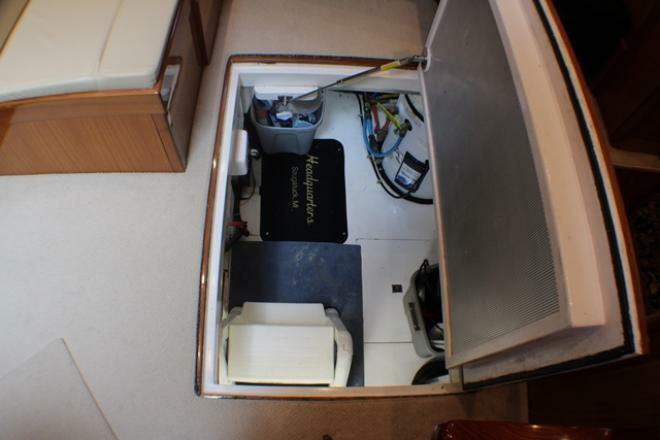 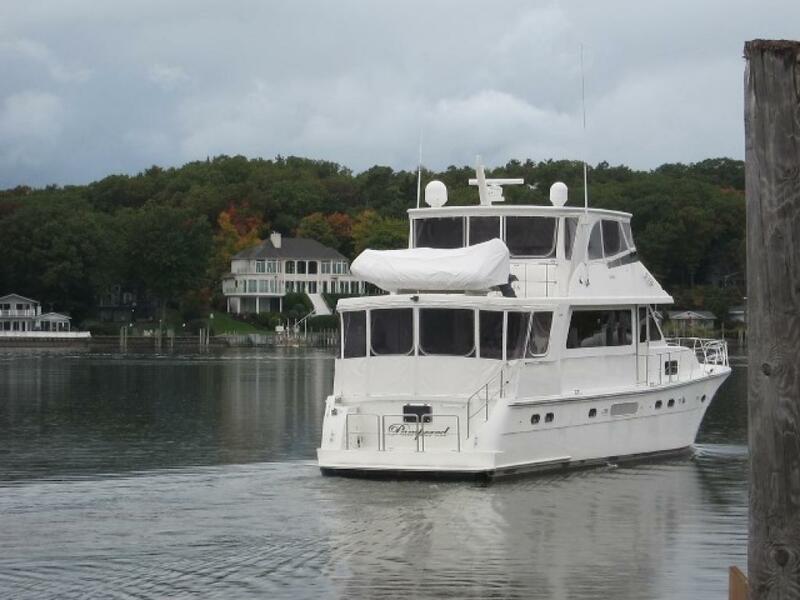 She has been impeccably maintained and has had numerous upgrades and updates since 2011 when it was purchased by the present owner. 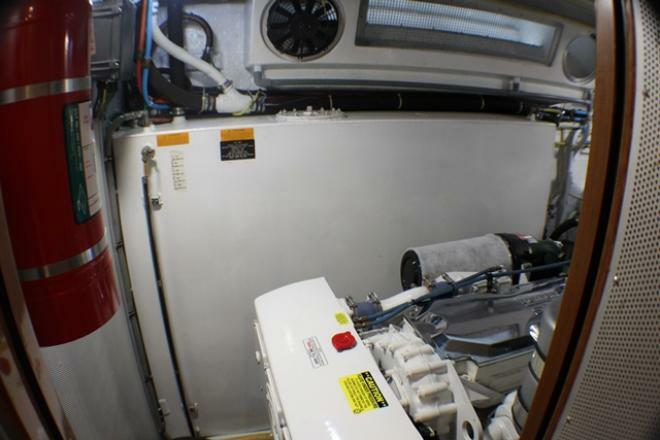 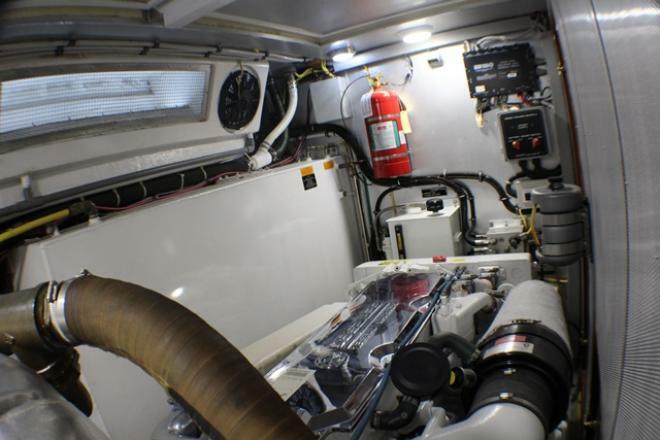 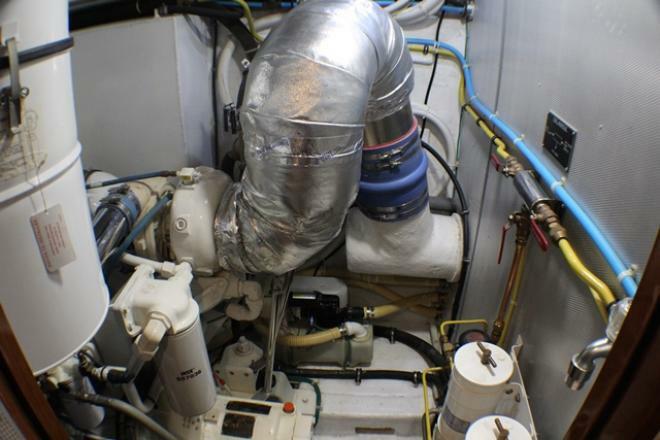 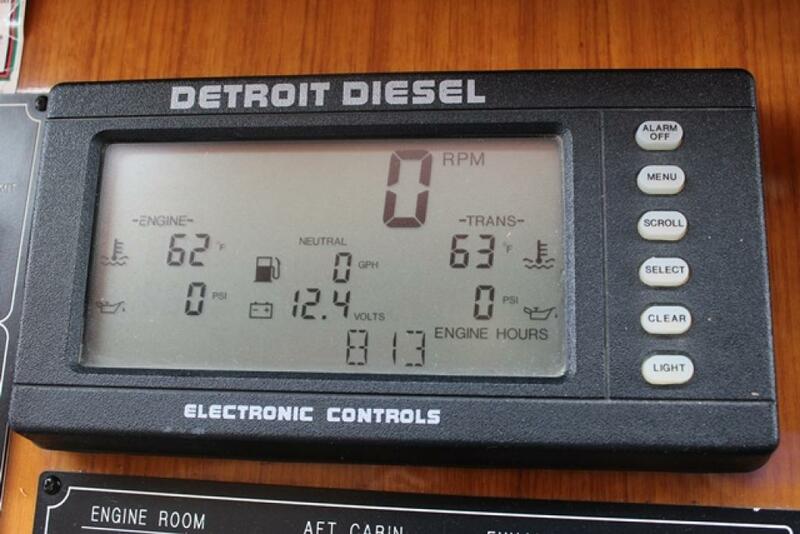 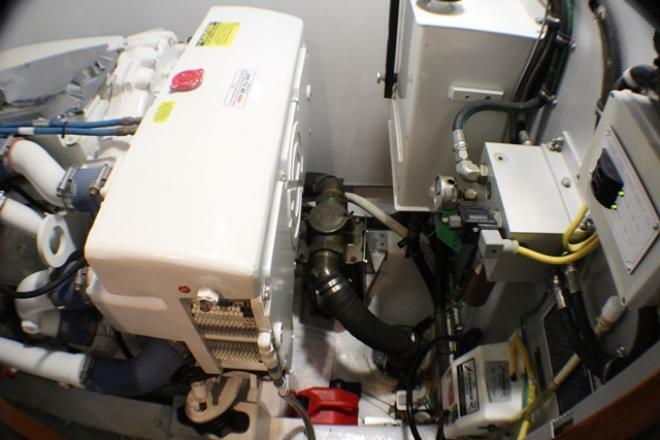 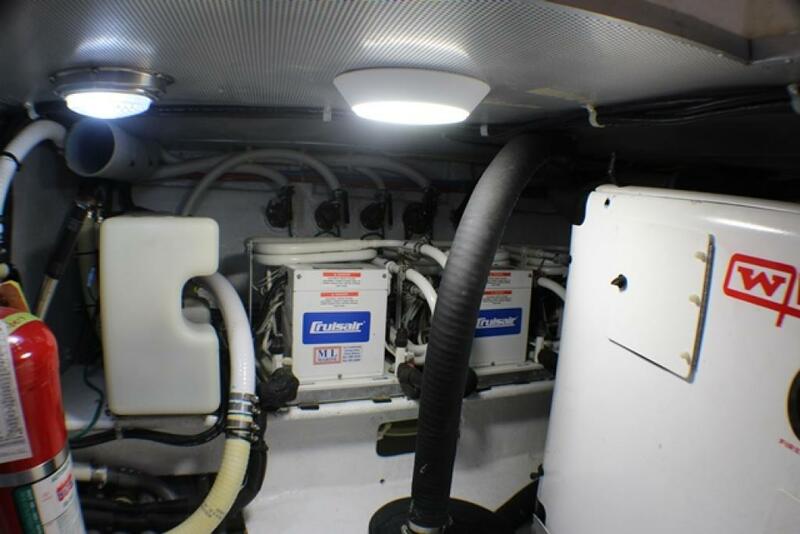 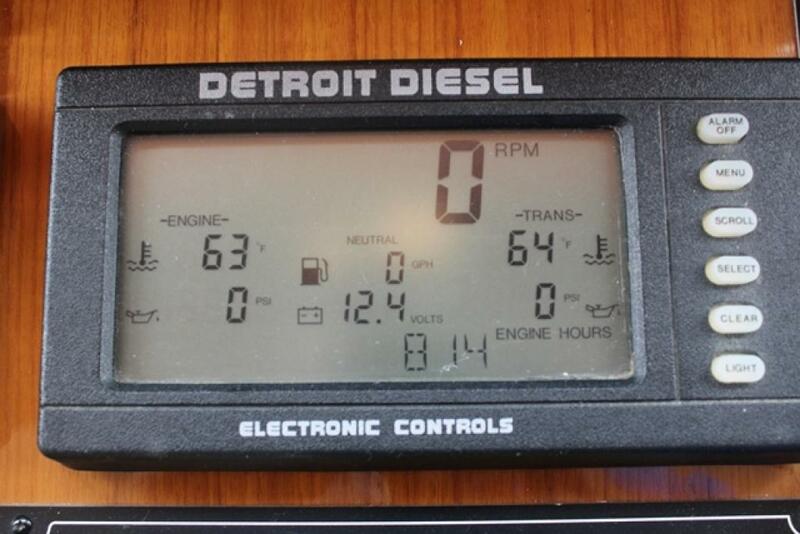 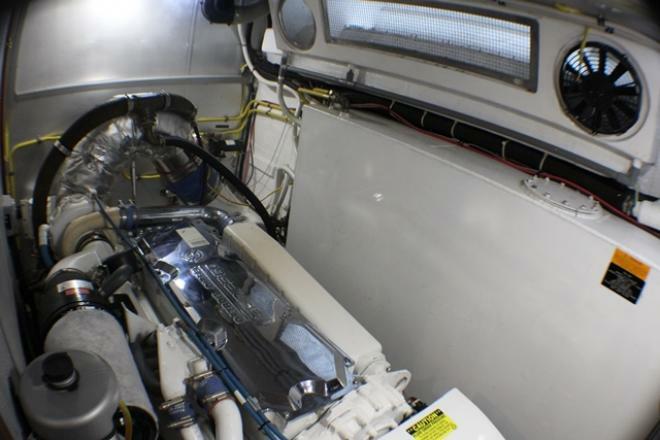 Engines have had their major servicing by Detroit Diesel including all fluids flushed and changed, new air seps, impellers, and anodes. Freeboard and super structure buffed and waxed every spring including 2017. 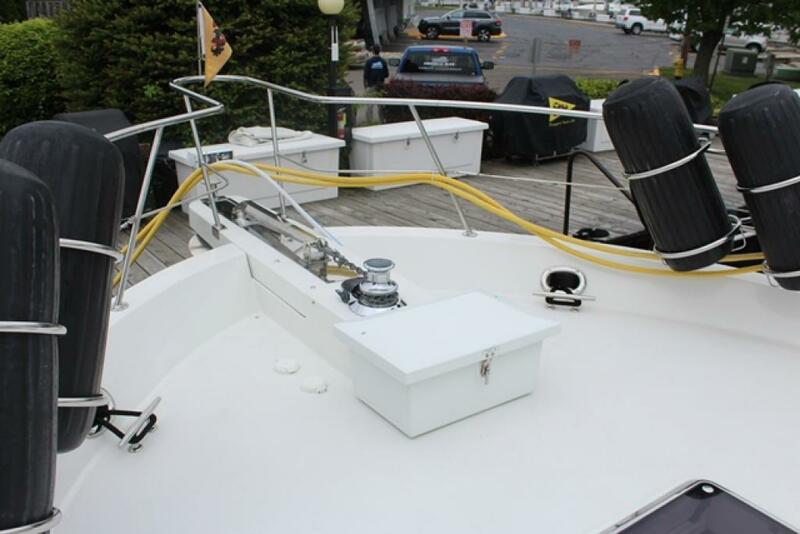 Canvas and isinglass just cleaned and resealed this spring. 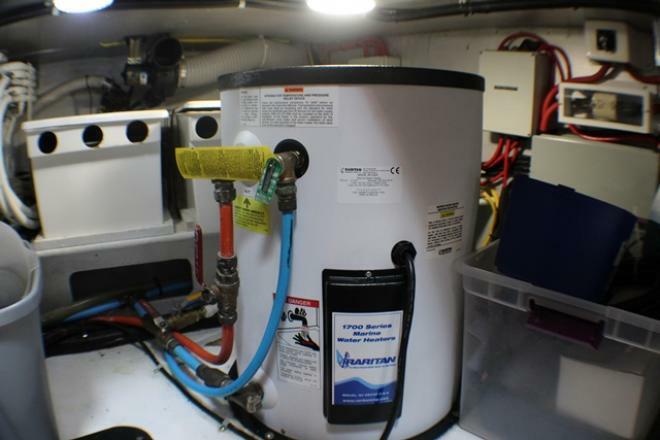 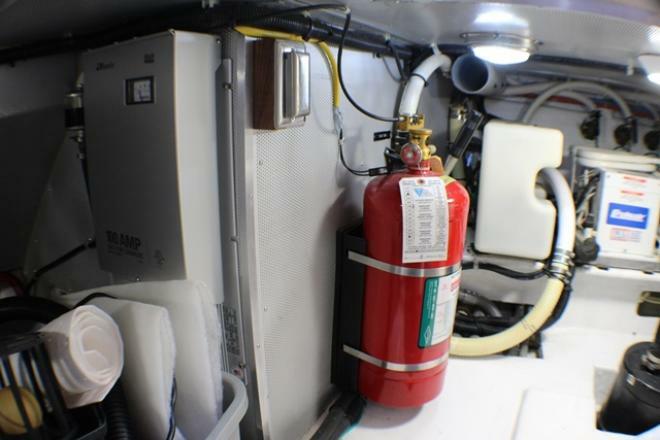 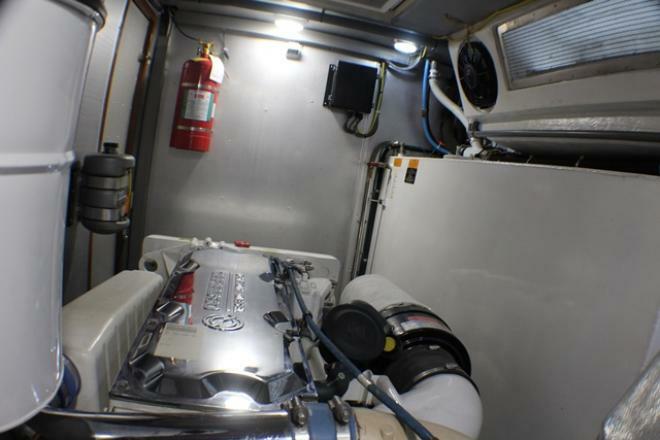 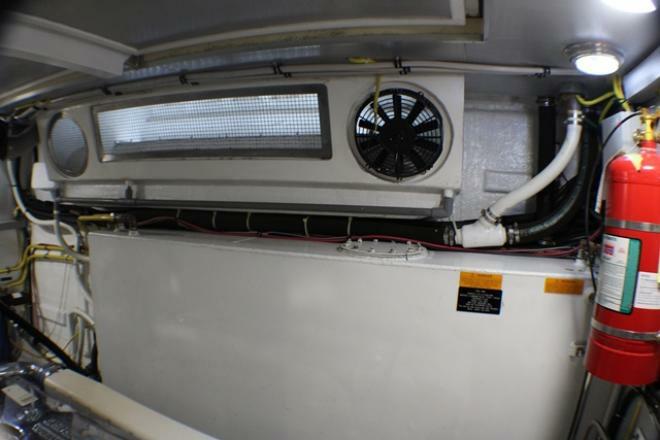 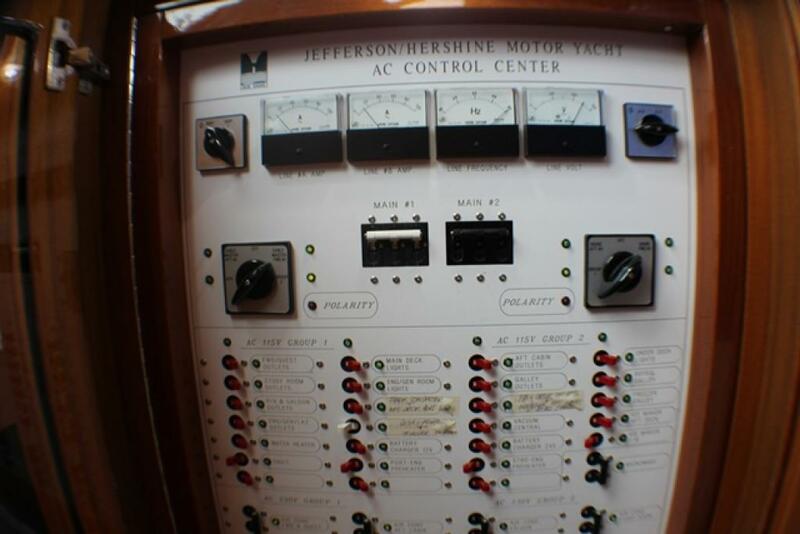 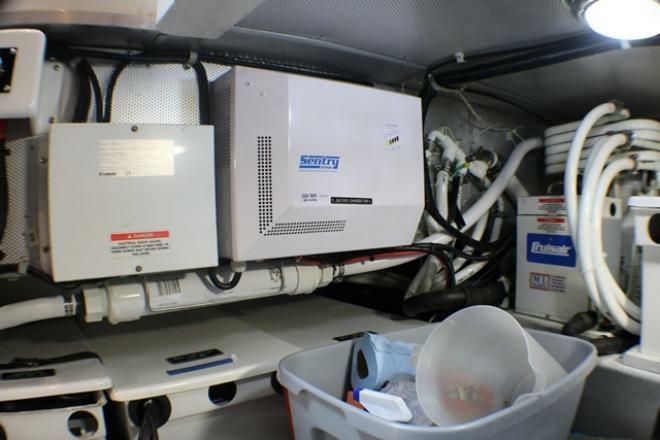 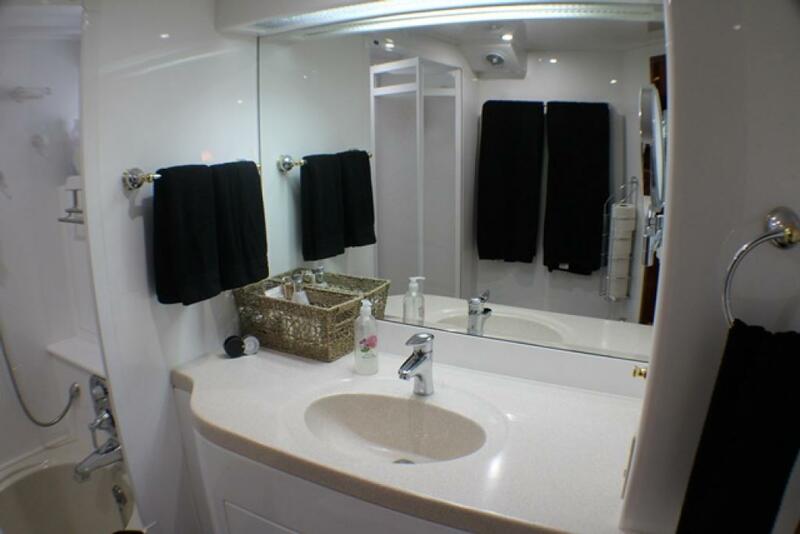 Recent updates and upgrades include water heater, house battery charger, salon and bridge refrigeration, custom furniture, carpet, new custom mattresses, decorator bedding and window treatments, LED lighting upgrades and much more. 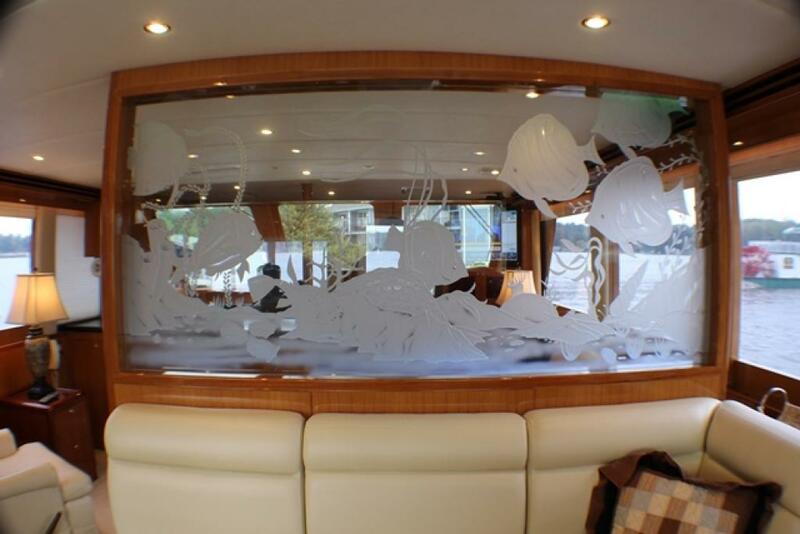 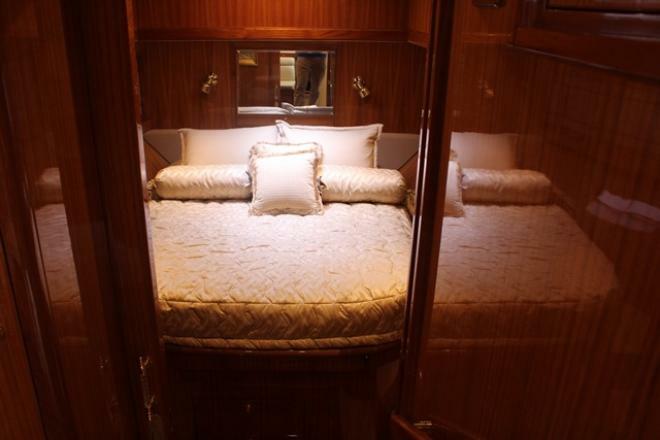 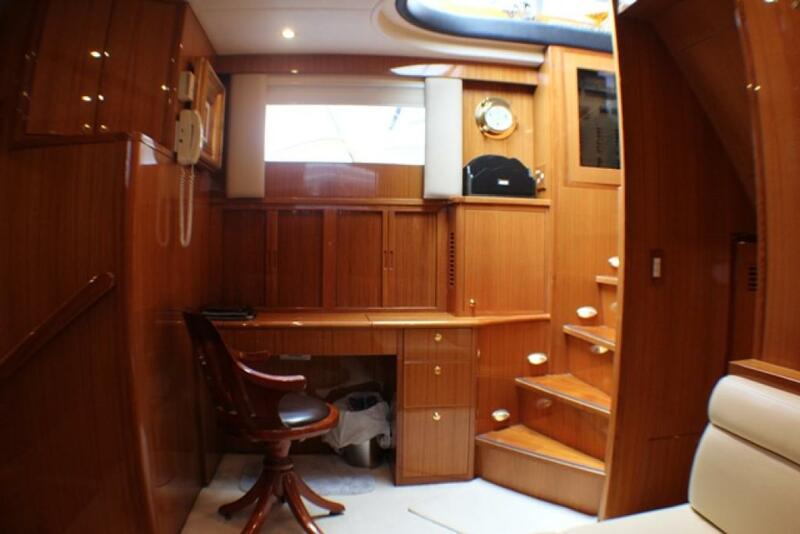 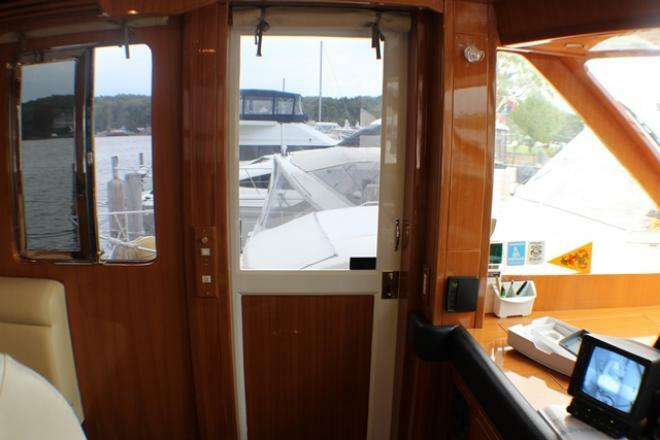 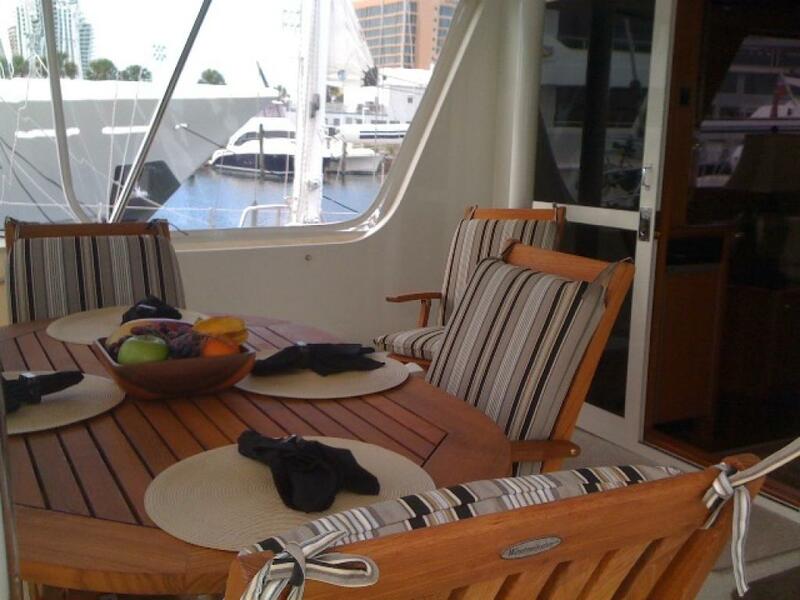 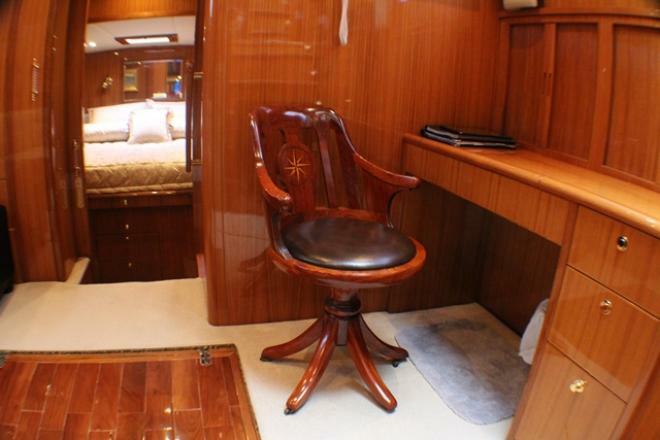 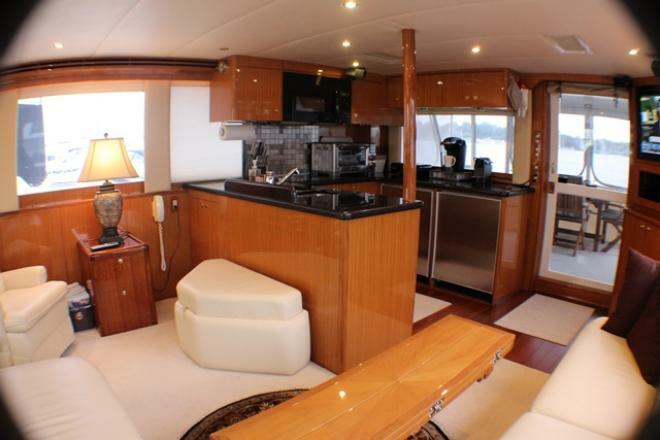 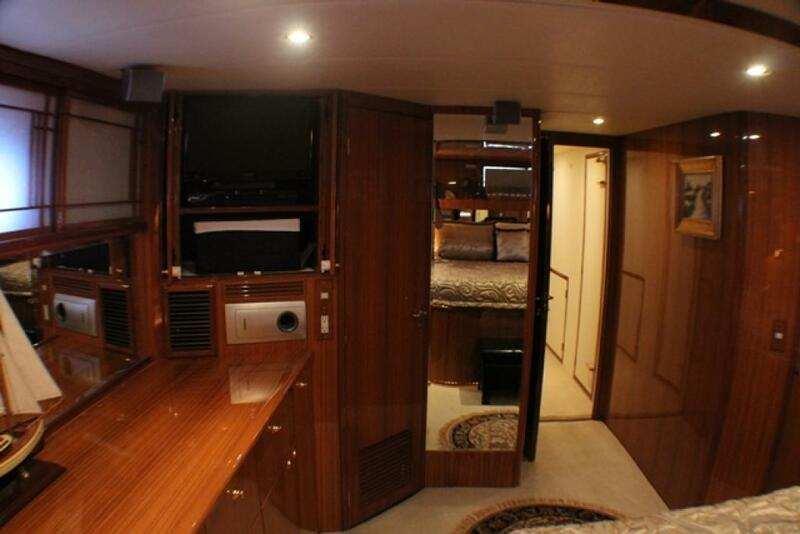 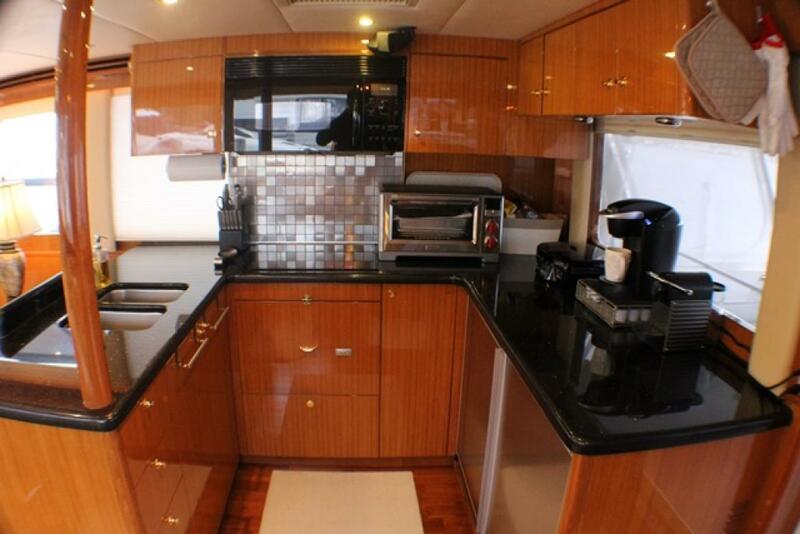 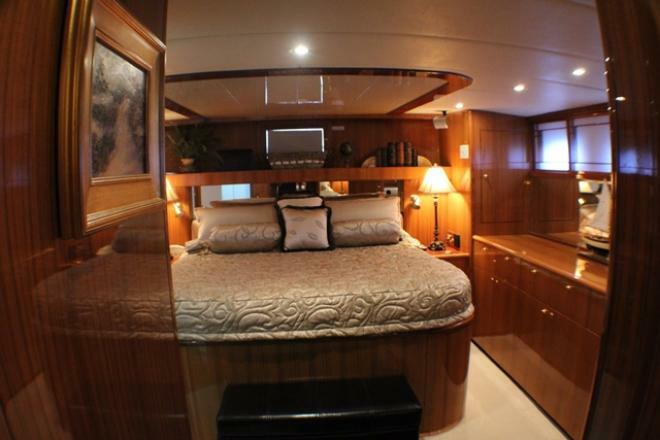 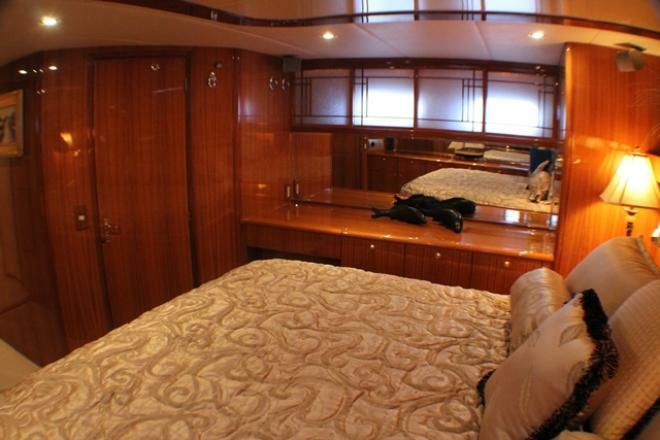 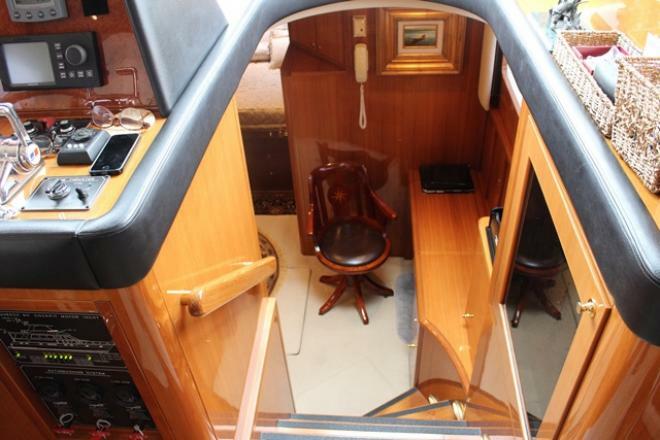 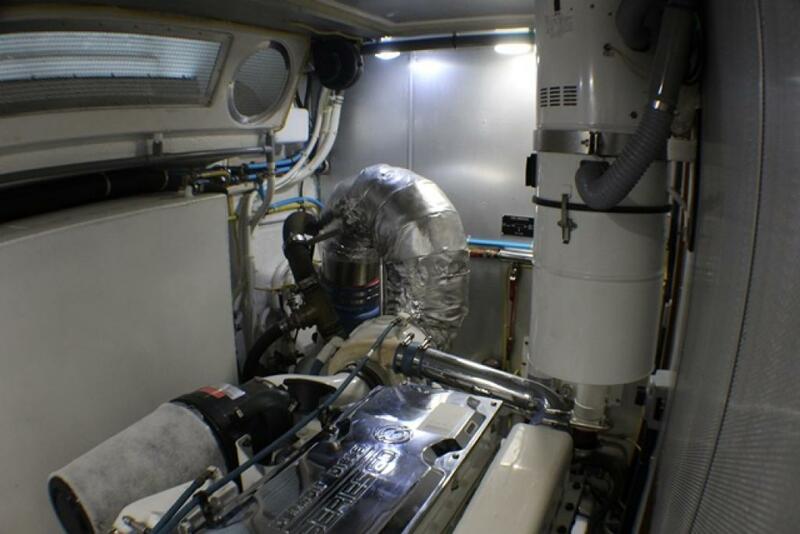 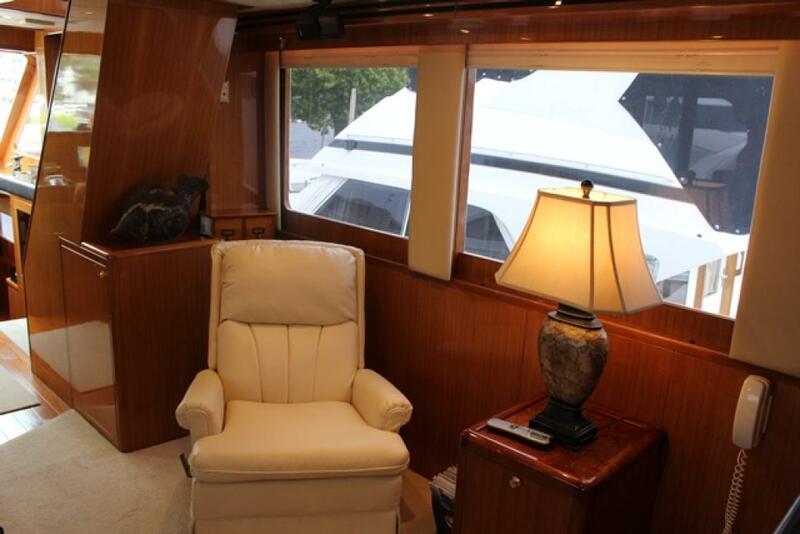 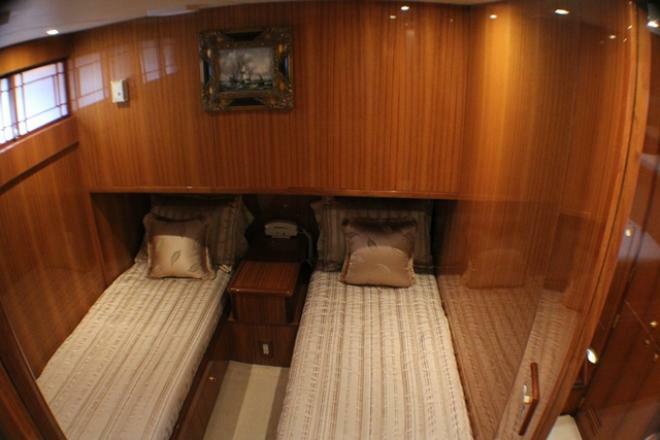 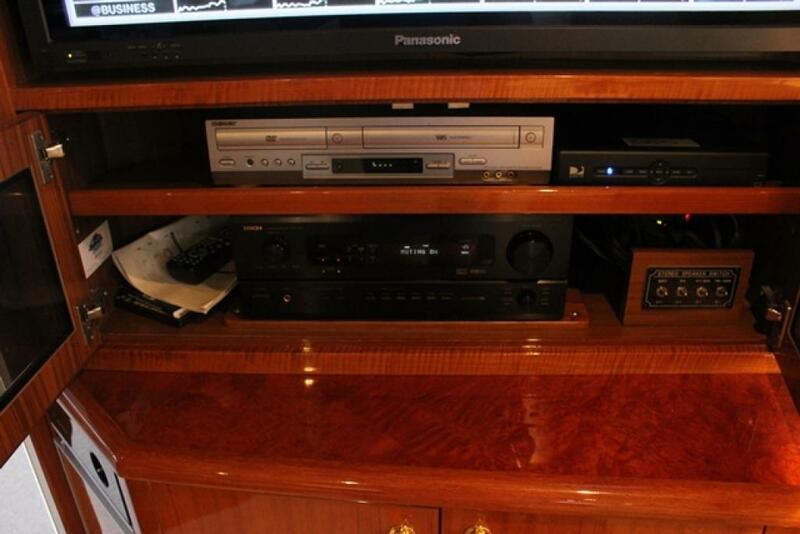 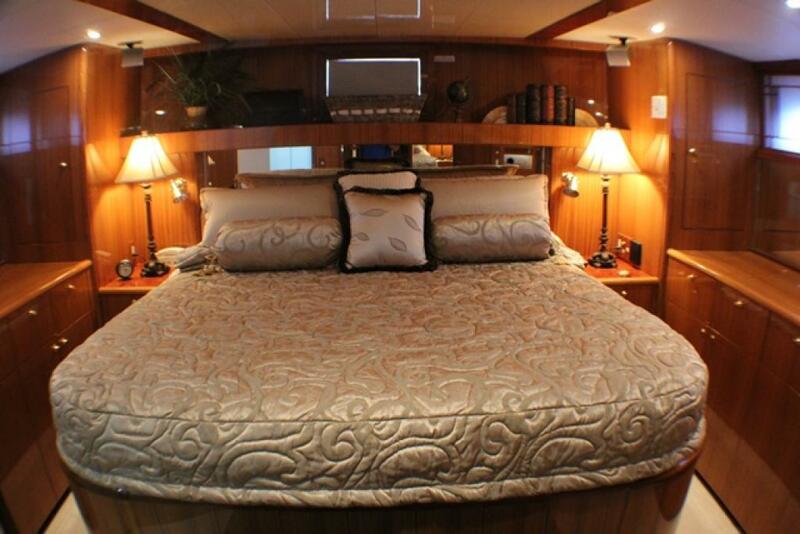 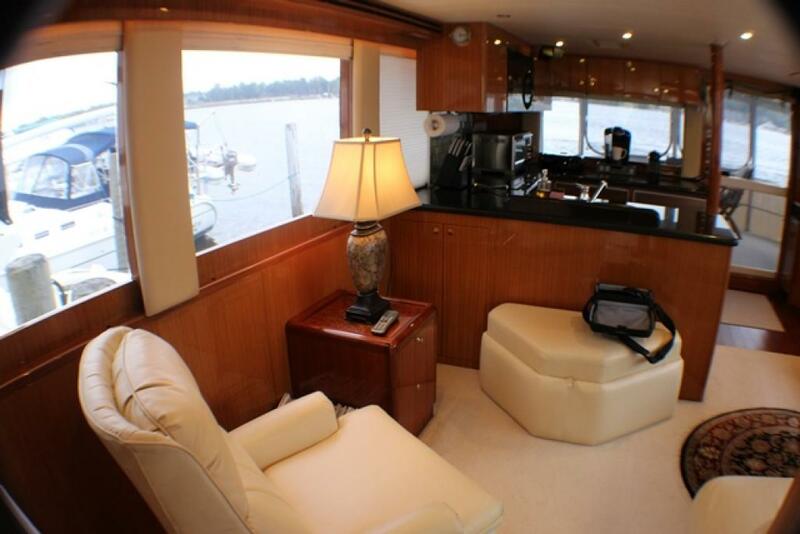 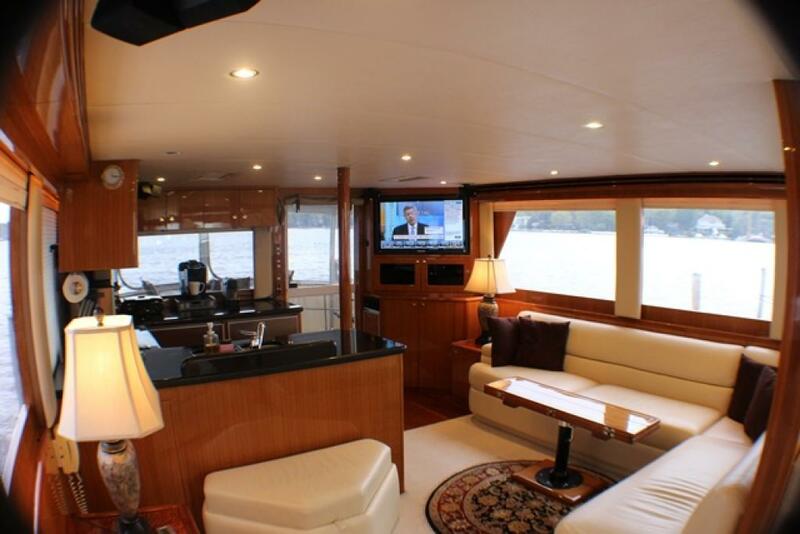 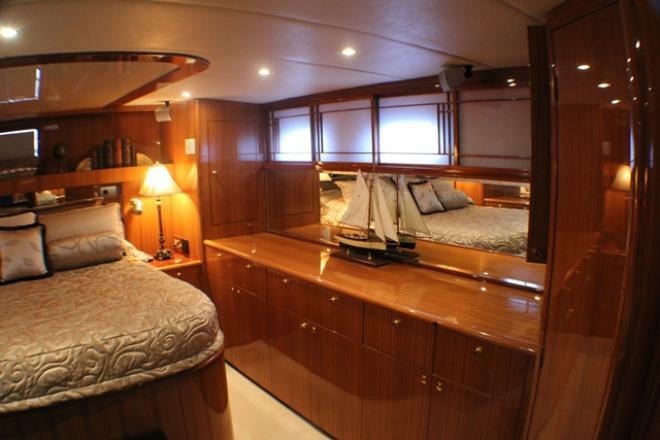 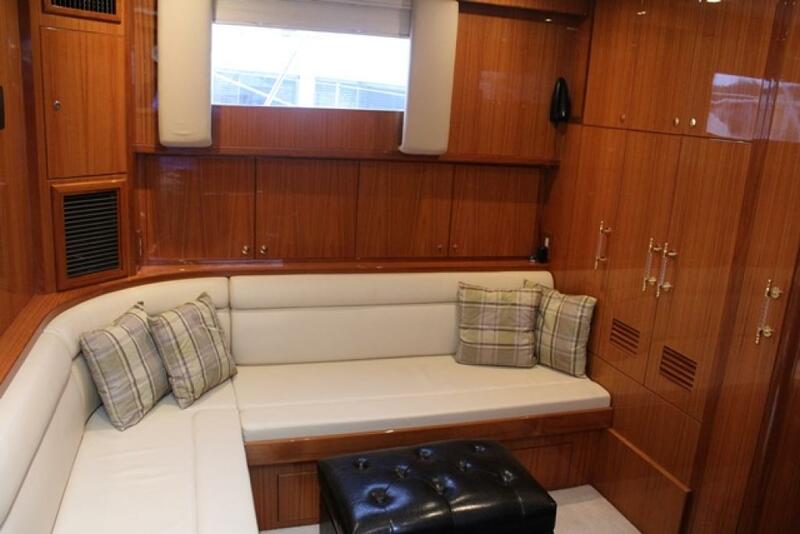 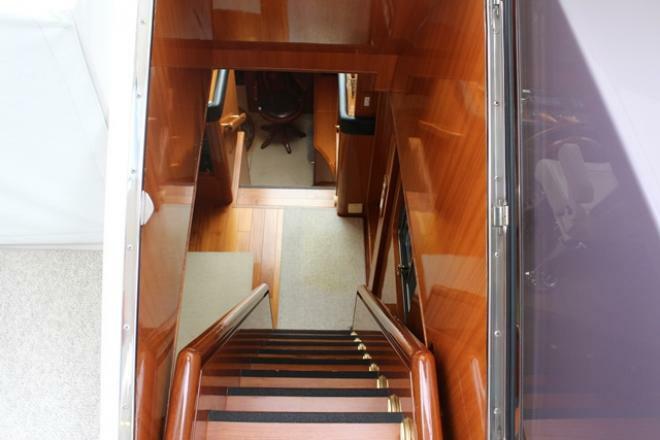 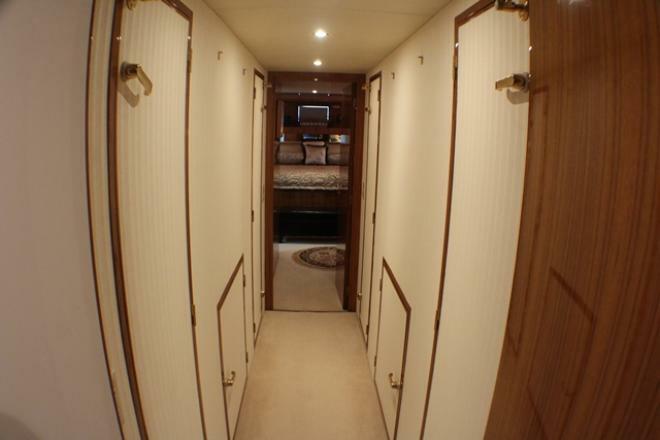 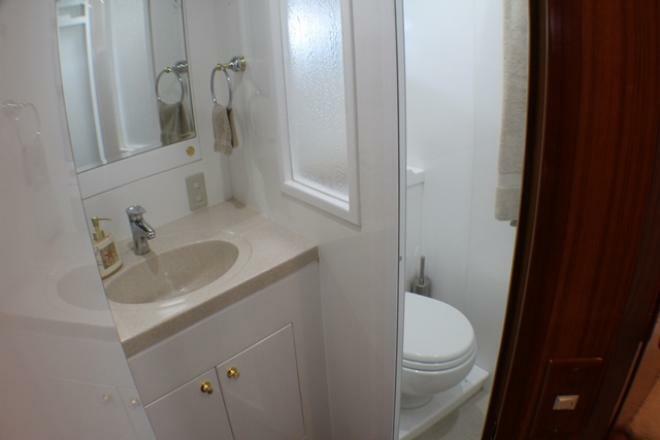 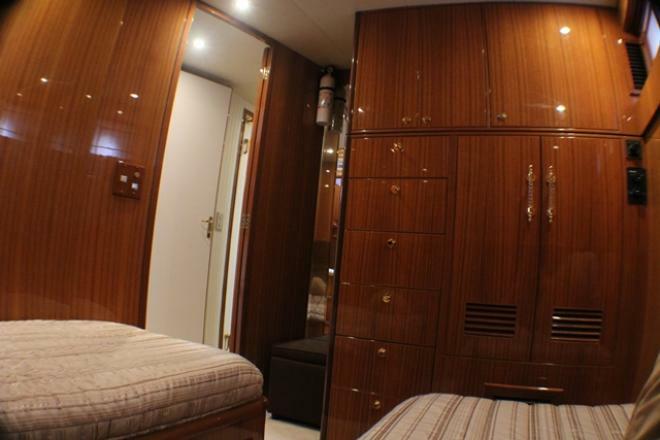 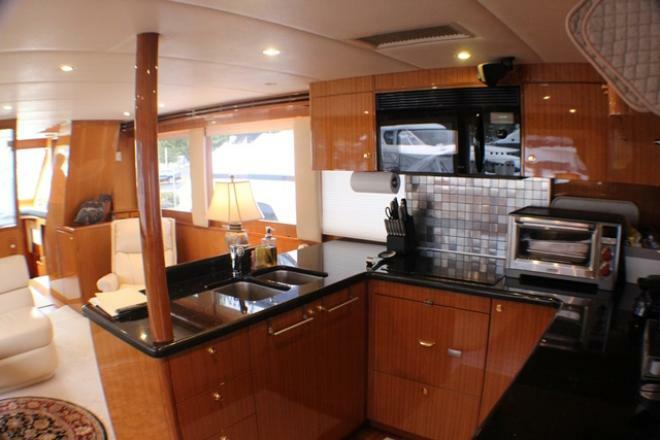 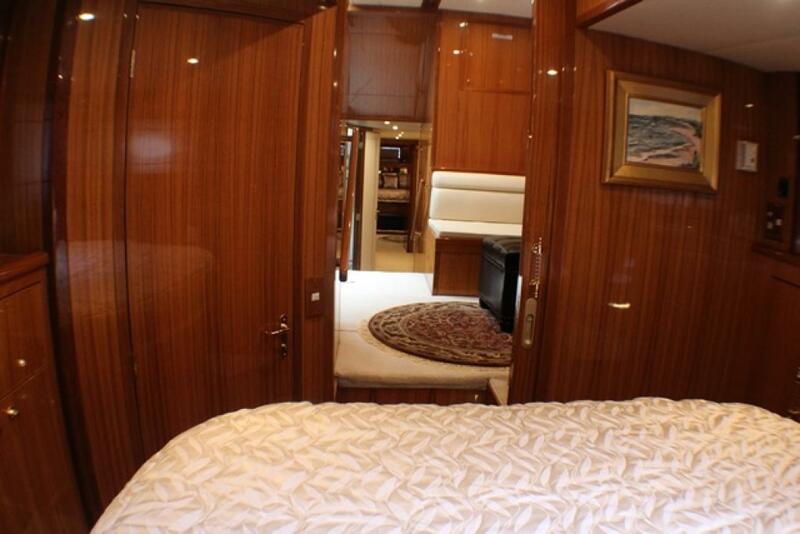 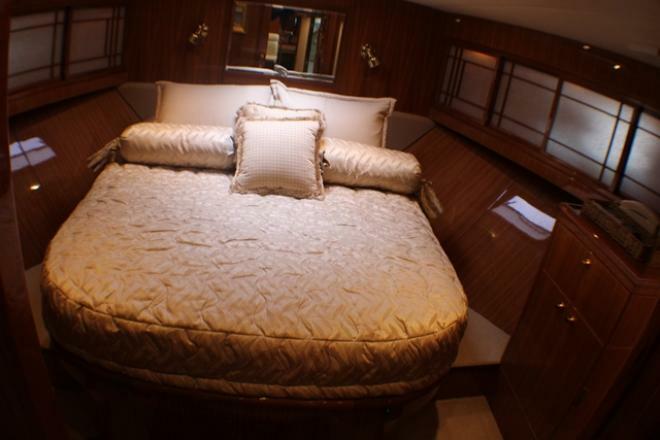 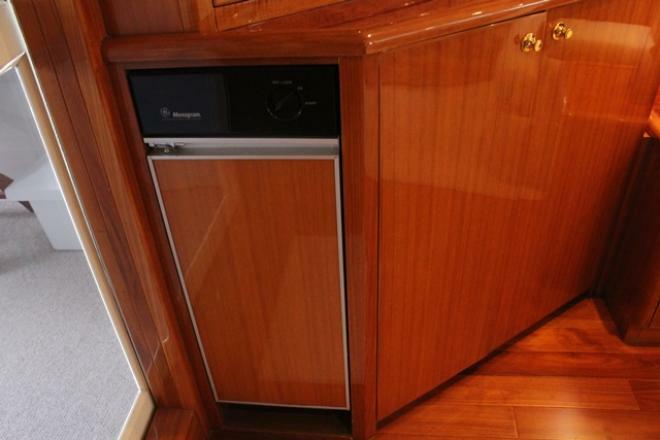 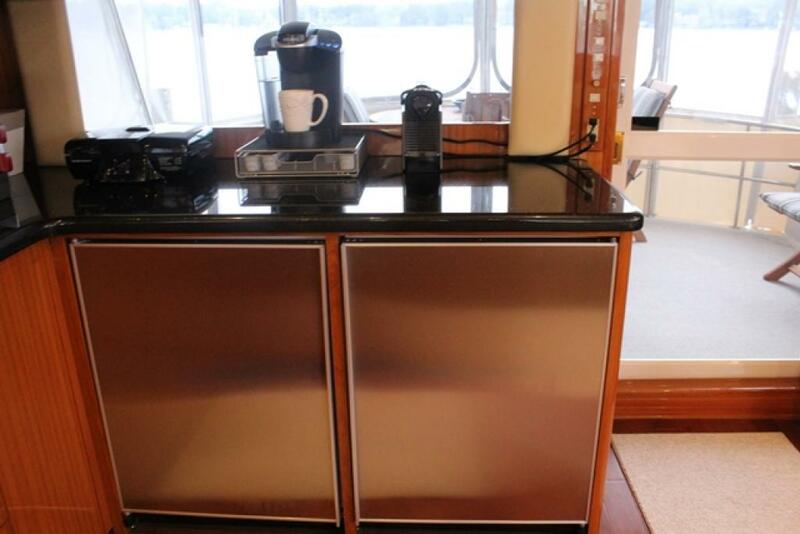 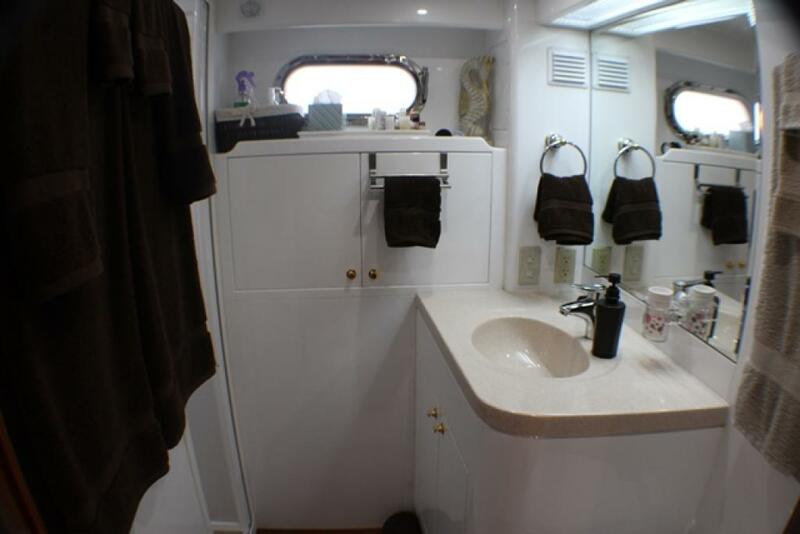 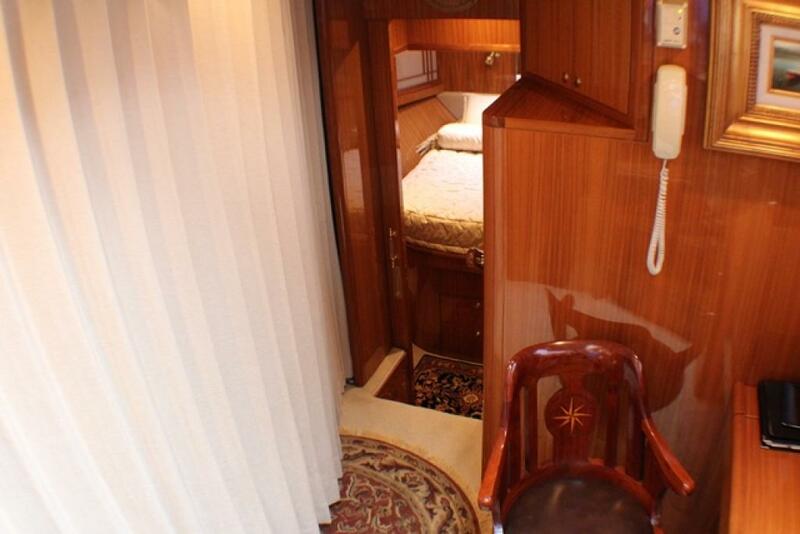 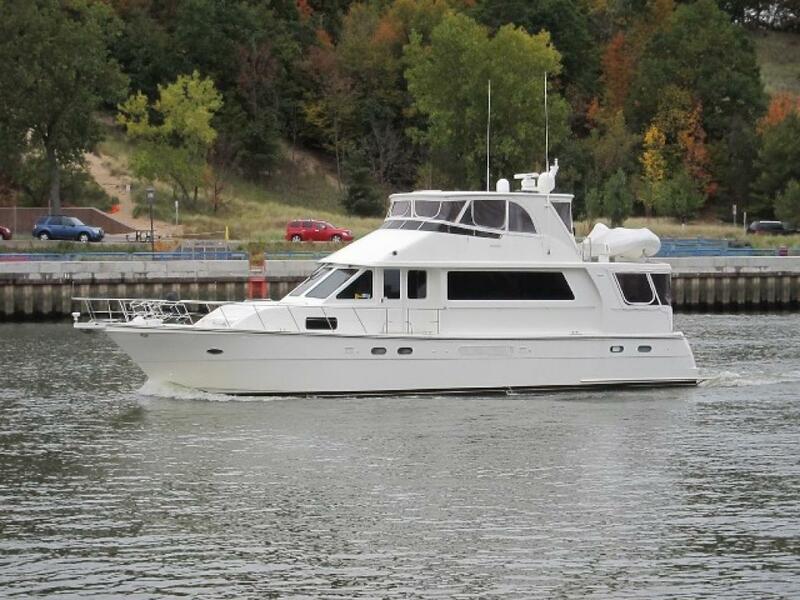 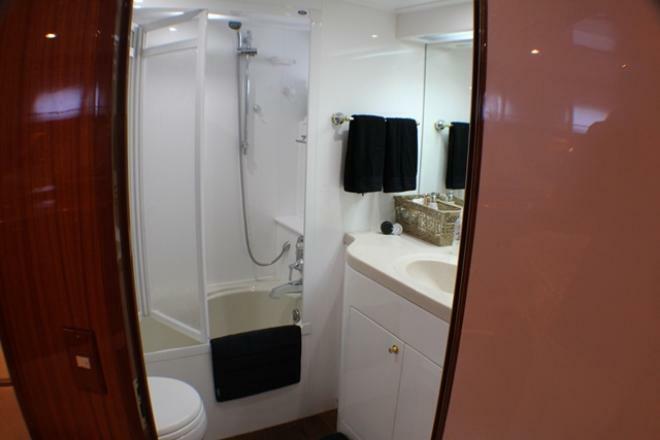 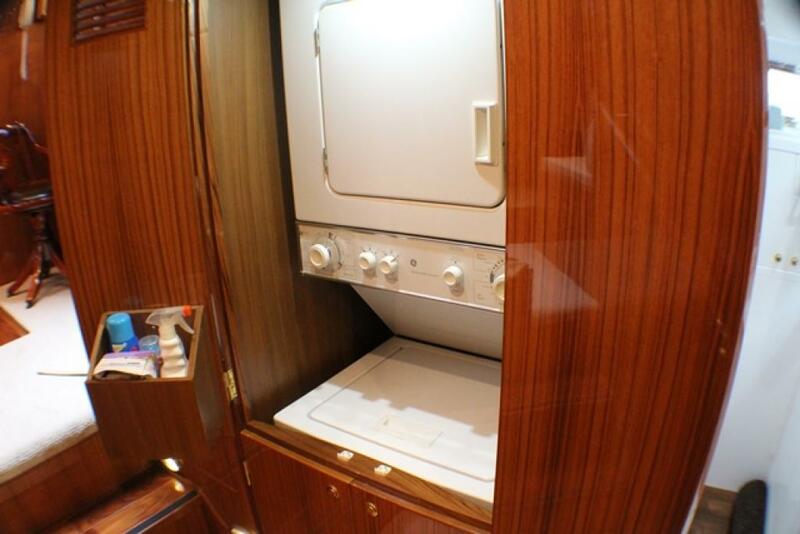 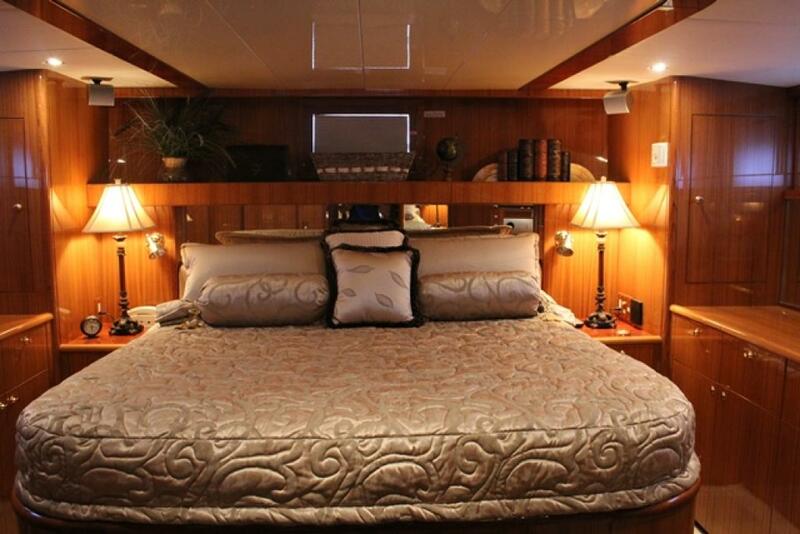 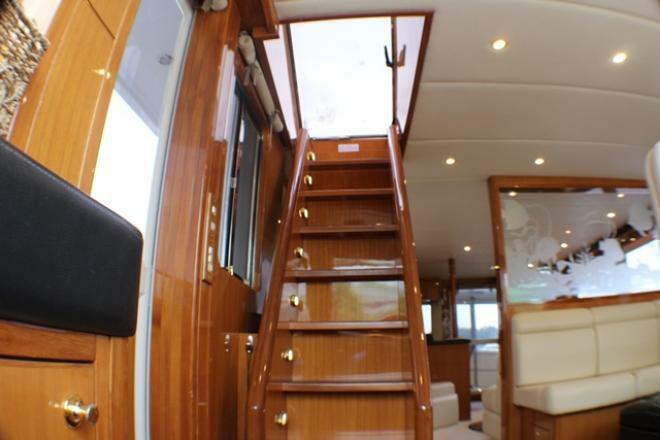 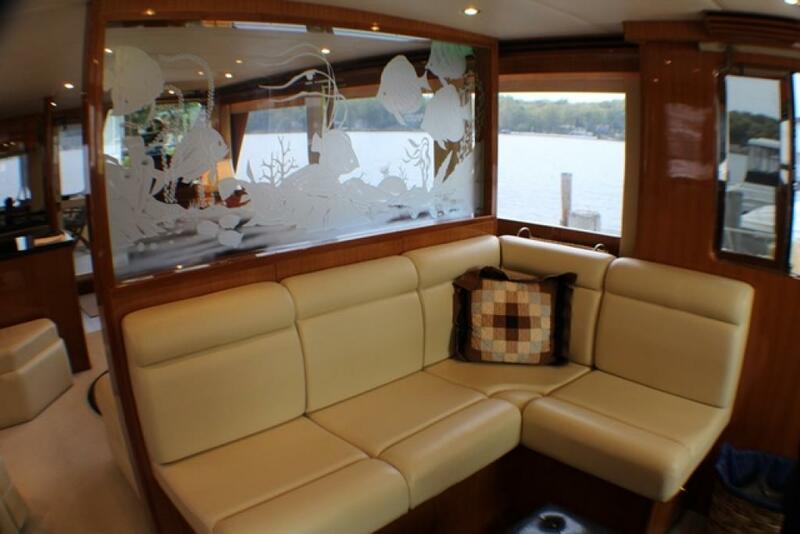 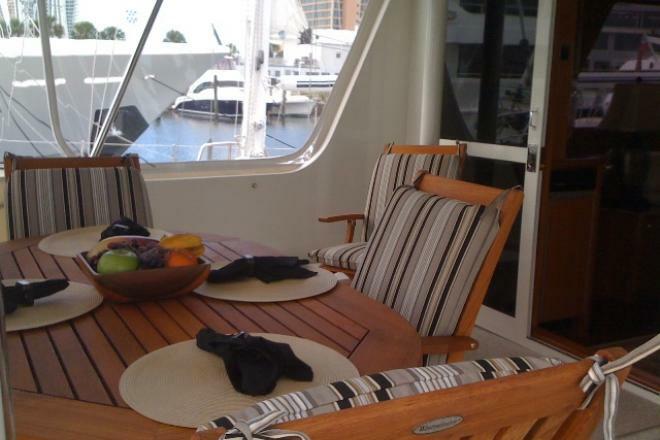 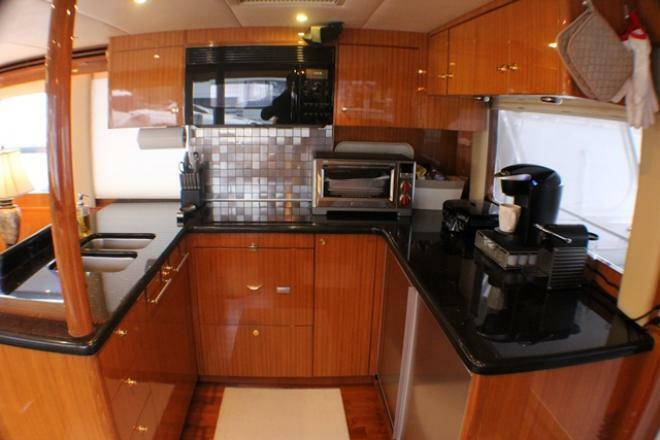 Her spacious salon and 3 staterooms with a study provide plenty of living space inside. 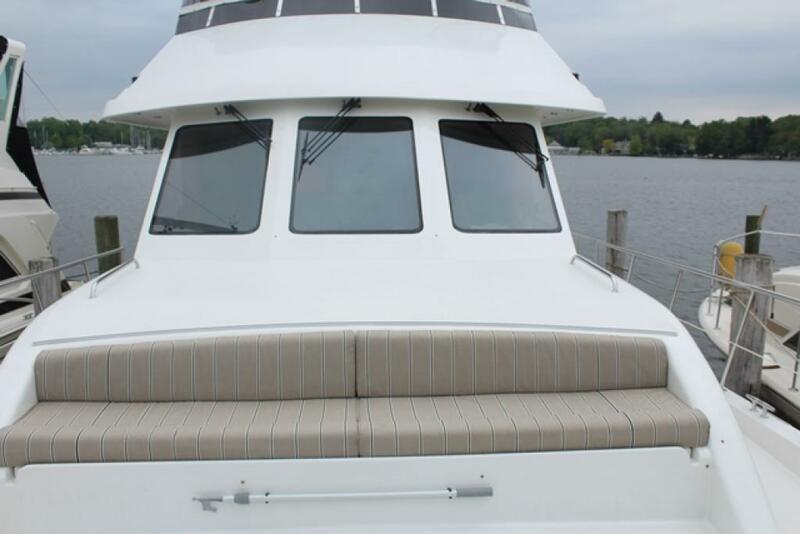 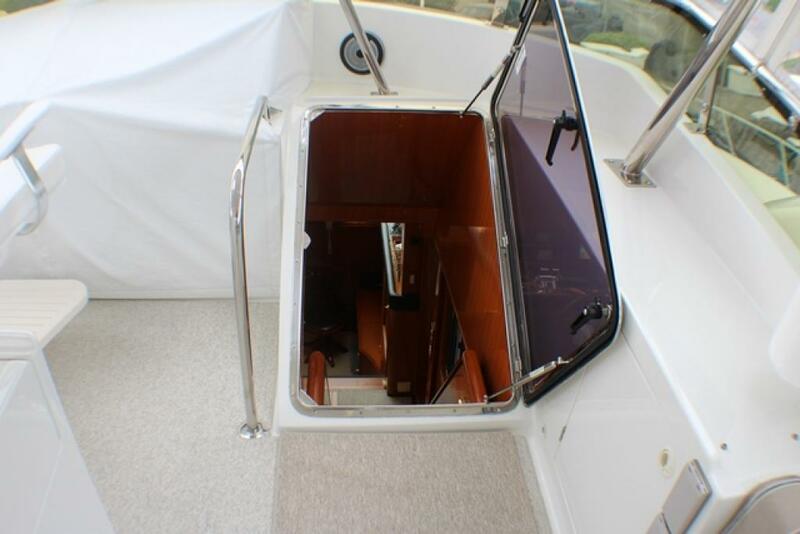 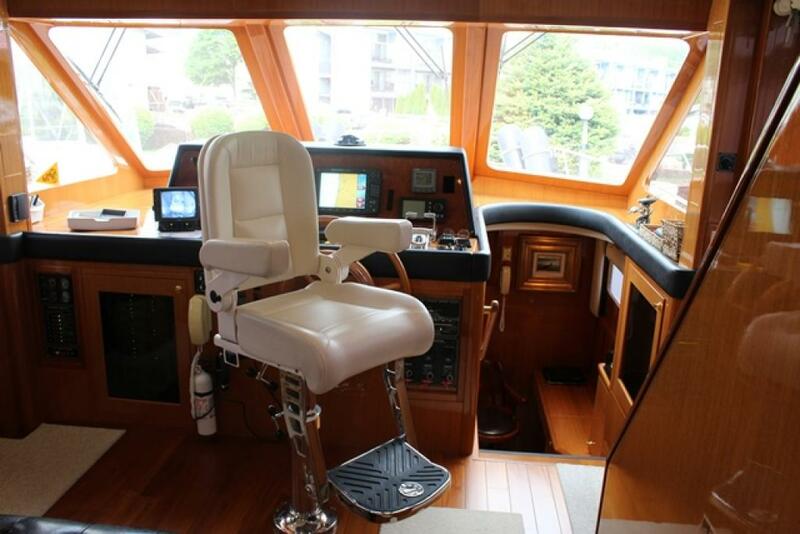 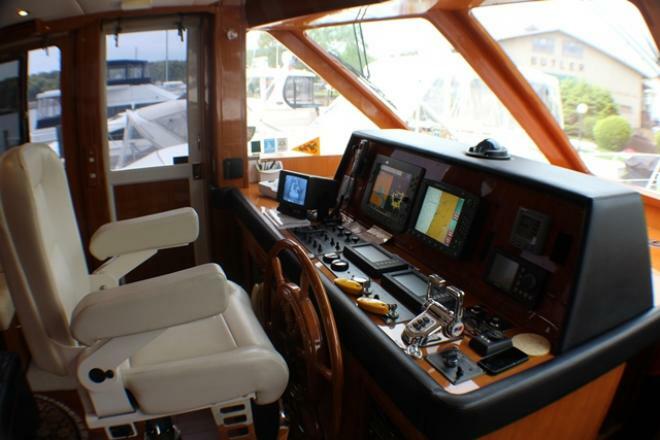 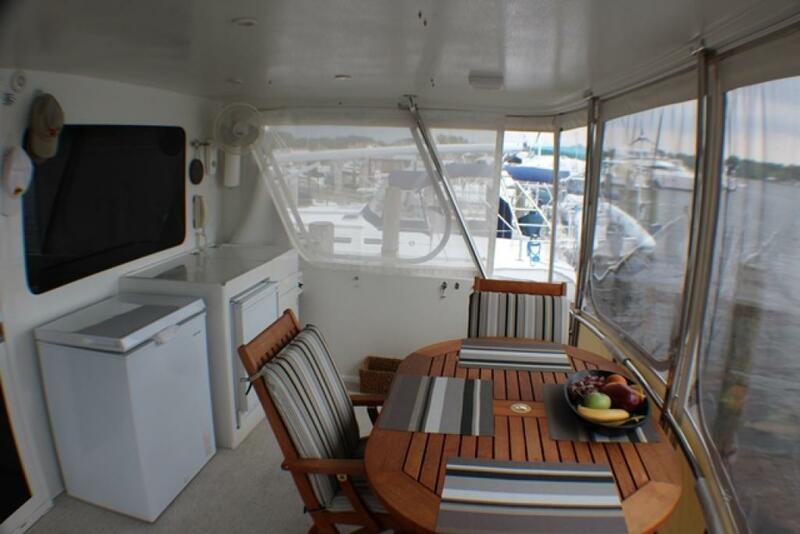 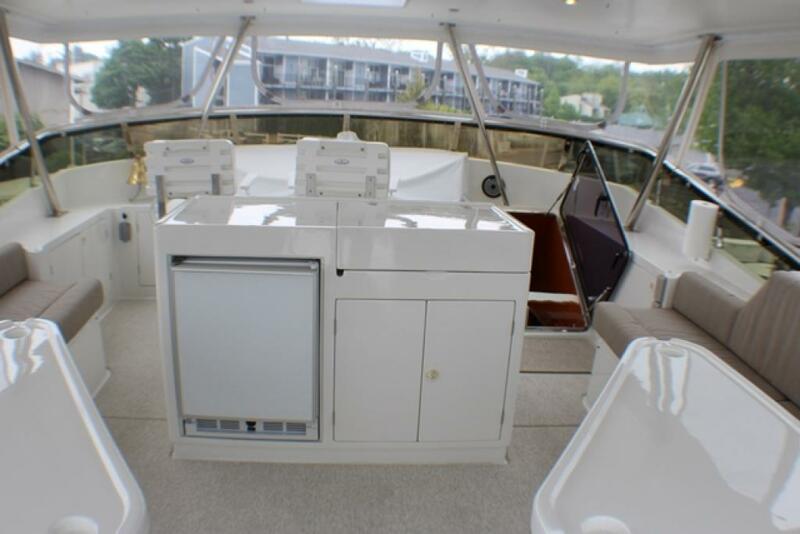 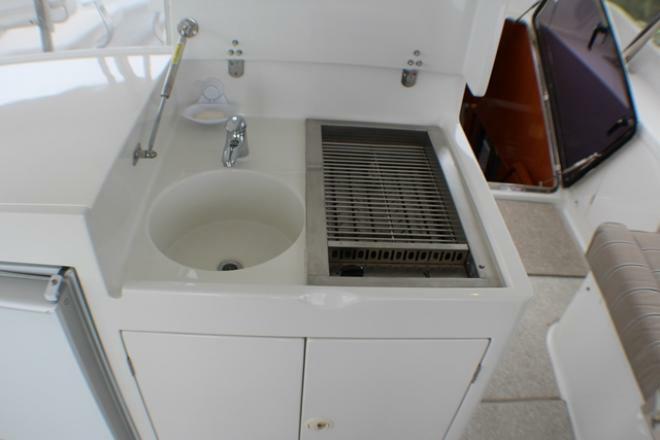 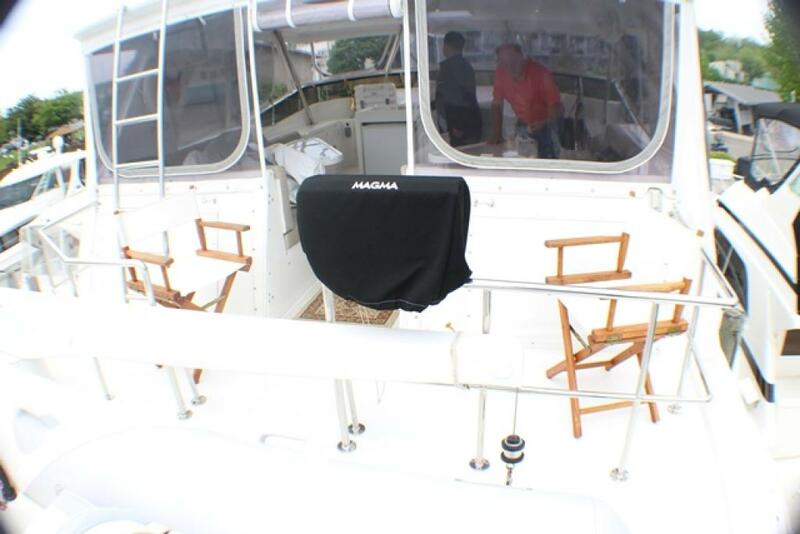 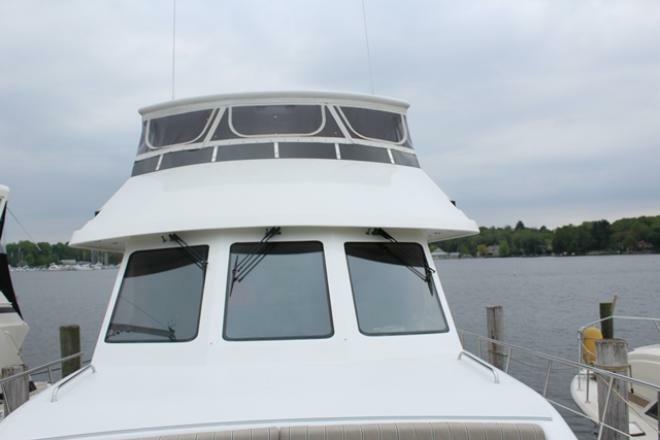 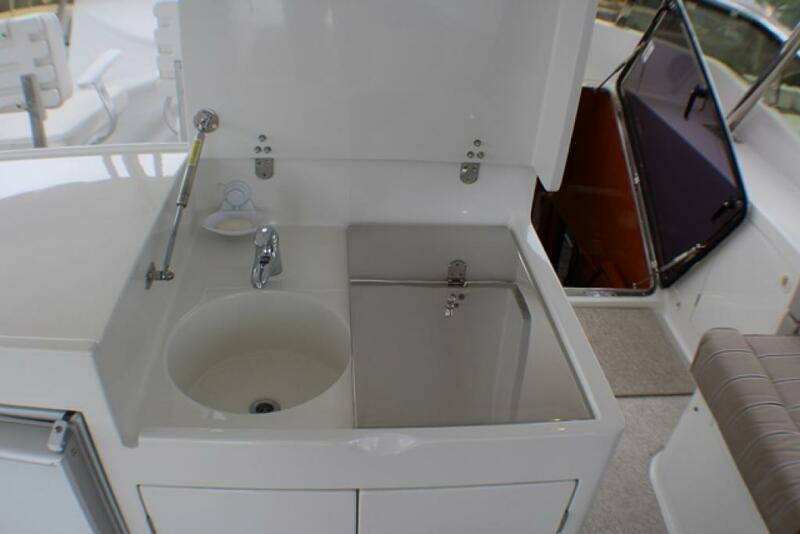 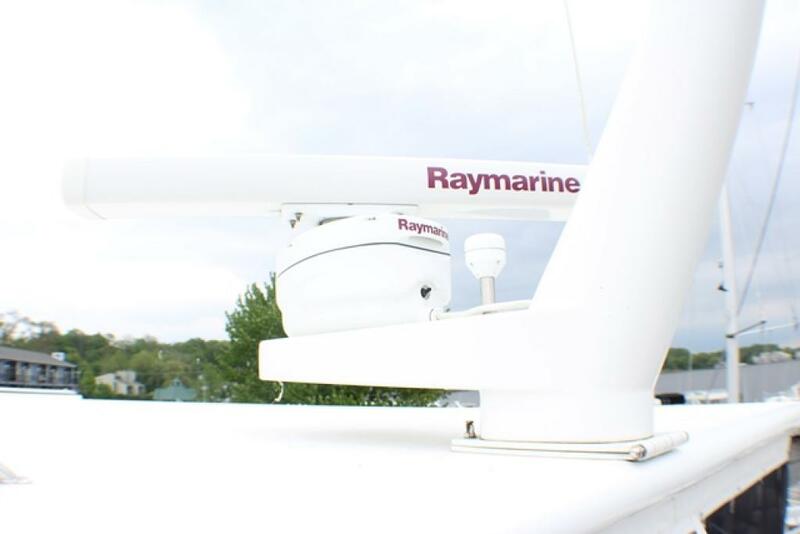 The spacious fly bridge has plenty of seating, wet bar with grill and refrigeration as well as a yacht davit complete with a console style RIB tender. 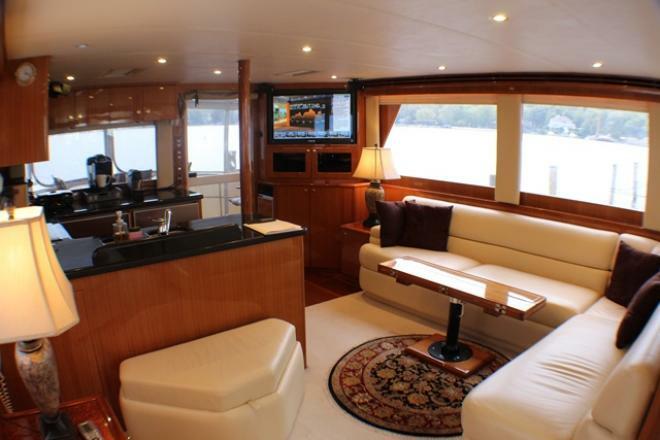 This magnificent yacht is turn key ready to be your new summer home, wherever it is you want her to take you. 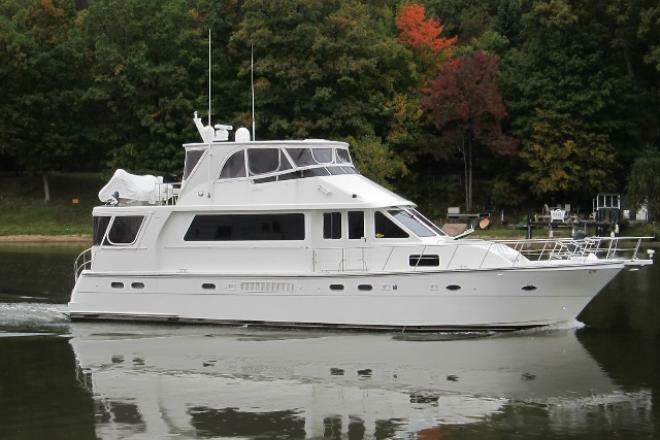 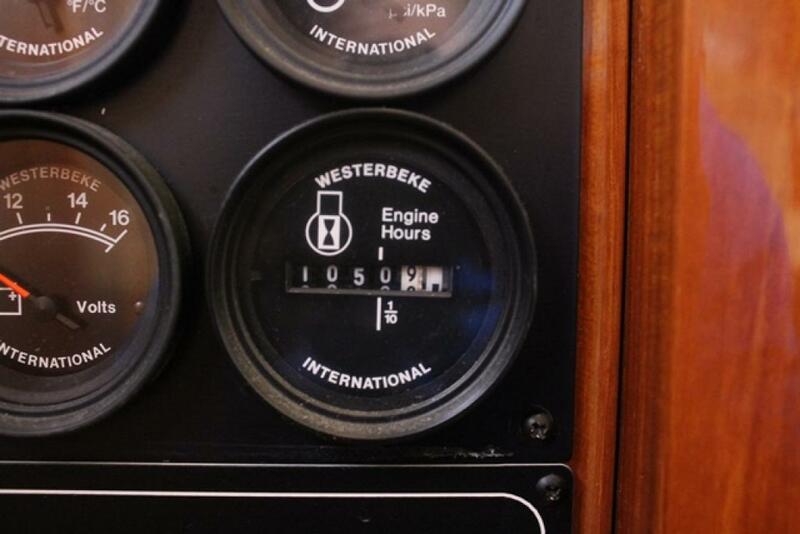 It is truly the best value in its class at $635,000.